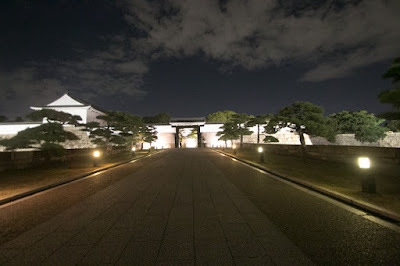 Hideyoshi united Japan in 1590 and his dominance seemed unprecedented, the basis of Toyotomi government was quite weak. Being born as a son of pheasant, Hideyoshi did have loyal hereditary generals, and to haste his unification Hideyoshi urged large lords such as Ieyasu Tokugawa to follow him and left as they were. 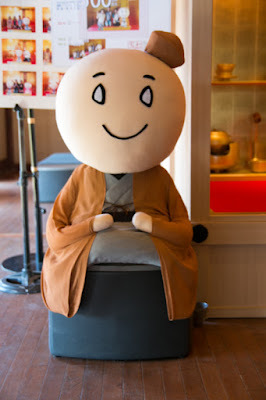 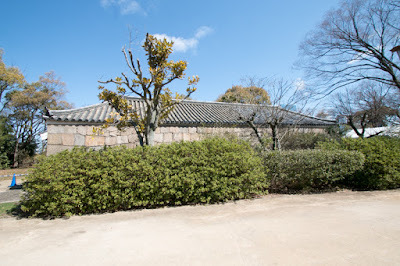 Originally his efficient younger brother Hidenaga Toyotomi (1540-1591)?and tea master Soueki Sen (1522-1591, known as Rikyu) coordinated these large lords to Hideyoshi, but the former was died in ill and the latter was purged. The matter of successor also affected the fate of Toyotomi government. 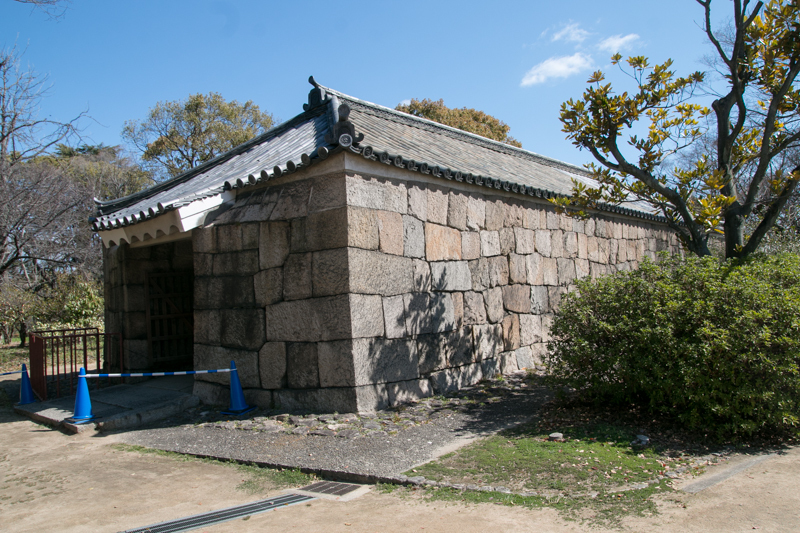 After the death of his son Tsurumatsu Toyotomi (1589-1591) only in two years old, Hideyoshi once decided Hidetsugu Toyotomi (1568-1595) as his successor and adopted. 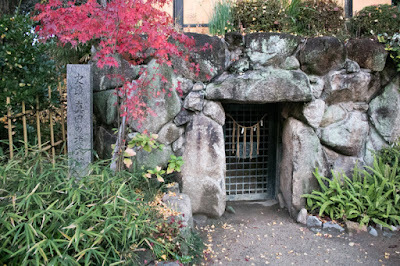 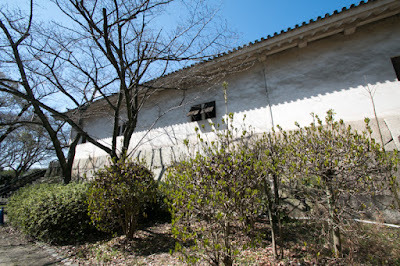 Hidetsugu suceeded Kanpaku position from Hideyoshi and lived at Jyurakudai in 1591, but two years later another son Hideyori Toyotomi (1593-1615) was born. 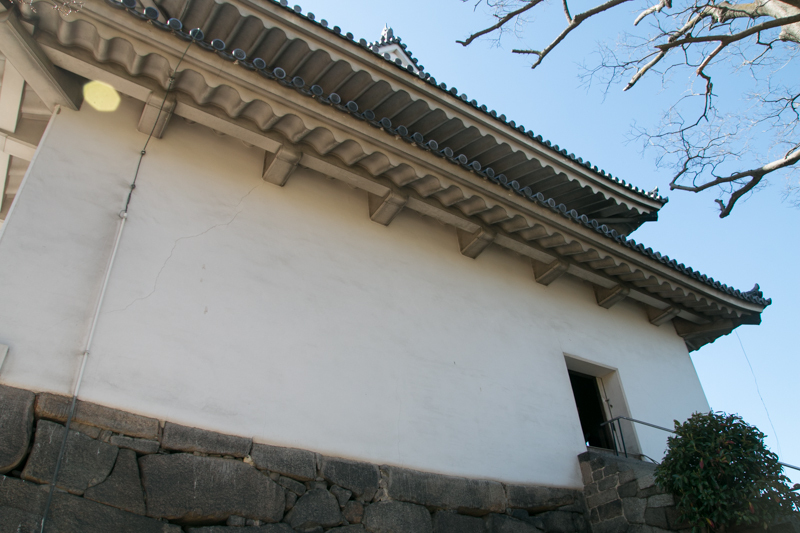 Hideyoshi tried to coordinate the movement of authority, but doubt rose at both side and finally Hidetsugu and his family were purged in 1595. 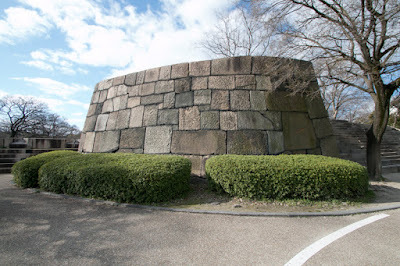 But under this process, Hideyoshi killed his few old remaining generals, and also received?antipathy from?large lords who was involved in this tragedy. 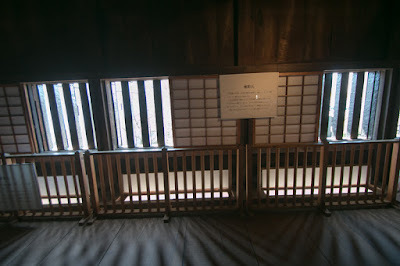 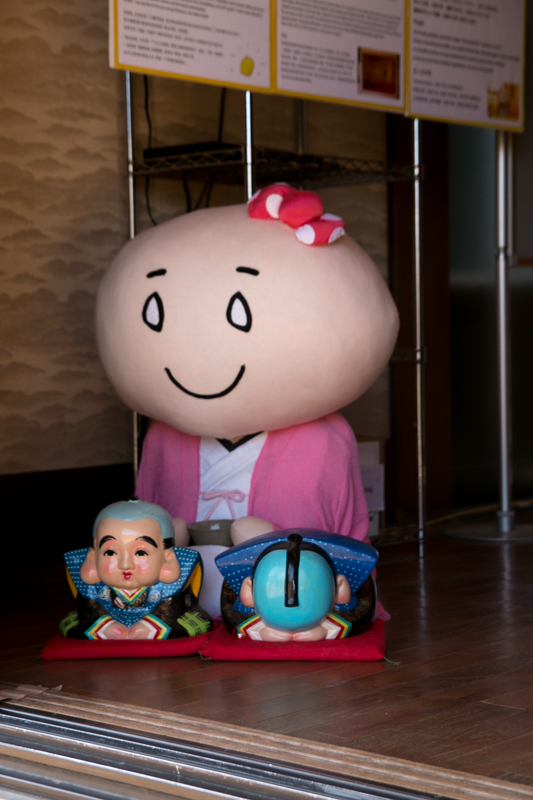 Adding on the failure of the campaign?in foreign country, when Hideyoshi died at 1598, Toyotomi government was near to collapse with the successor of seven years old child. When Hideyoshi died at Fushimi castle (Kyoto prefecture) in loneliness, he left the farewell poem stating "My life was short as dew drops. All things was a dream of Osaka" and just asked large lords to support Hideyori. 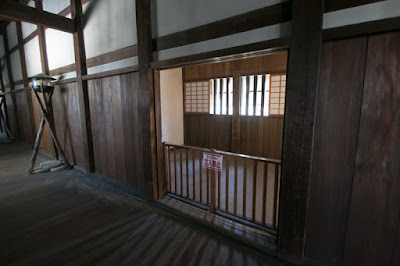 Hideyoshi left Hideyori to his old friend and large lord Toshiie Meada (1539-1599), but Toshiie also died next year. Among the conflict between magistrates and front gererals of Toyotomi government, Ieyasu Tokugawa (1543-1616) started his action to seize the next hegemony. 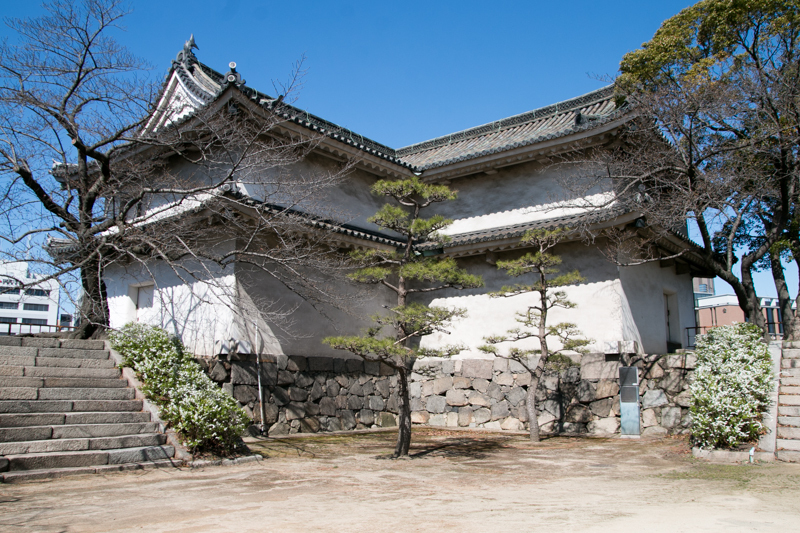 Facing this situation, former chief magistrate Mitsunari Ishida (1560-1600) raised the army with other large lords such as Mouri clan or Ukita clan to stop the ambition of Ieyasu. But Mitsunari was defeated at the decisive battle of Sekigahara in 1600 and executed. Other Toyotomi supporting lords were destructed or subordinated to Ieyasu, and no one could stop the movement of Ieyasu any more. After the battle Ieyasu became the substantial ruler, and was appointed as Shogun at 1603 and established Edo Shogunate. 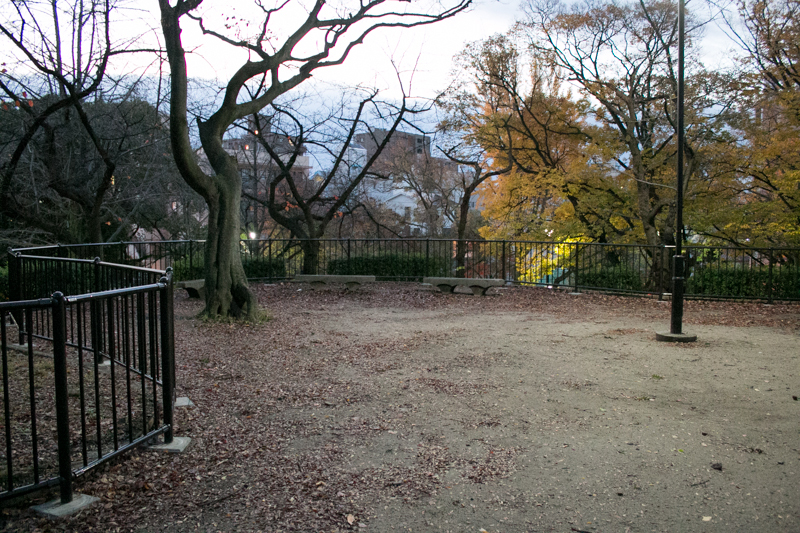 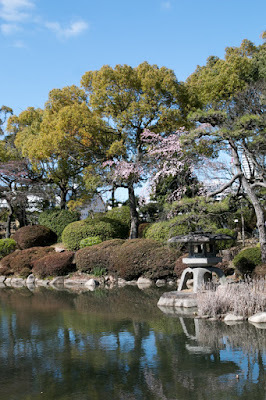 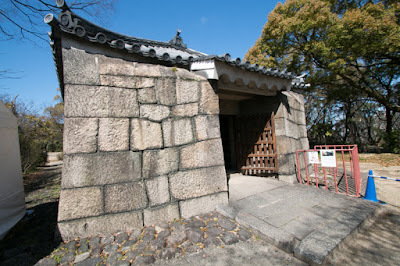 Hideyori Toyotomi still existed at Osaka castle, but no more a dynasty and just became a lord. But considering wealth and authority of Hideyori, Ieyasu at first let his granddaughter Senhime to Hideyori and coordinate with Toyotomi clan. 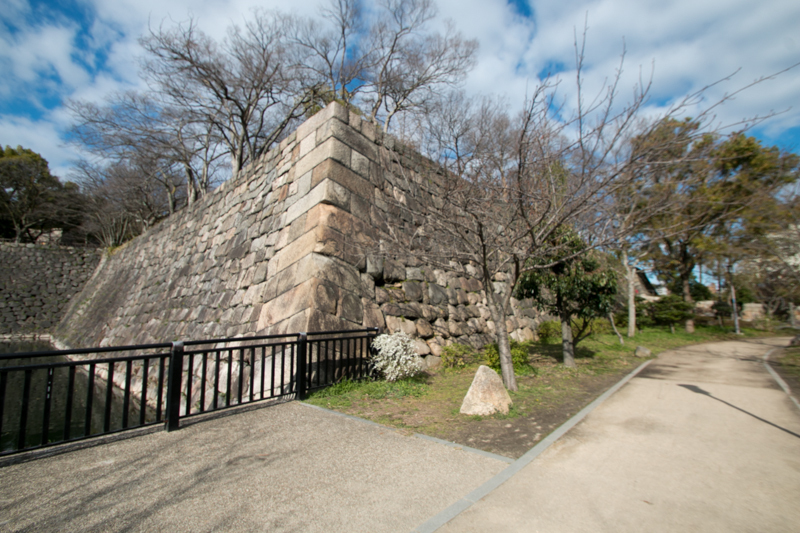 But ultimately Toyotomi clan and Tokugawa clan could not coexist, and Ieyasu finally decided to destroy Hideyori Toyotomi before his death. 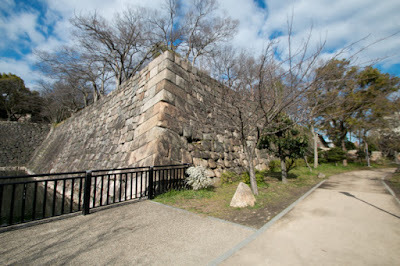 Seeing that situation, Toyotomi side lead by Princess Yodo (1569-1615), the mother of Hideyori, secretly started the preparation for the battle with Tokugawa clan. 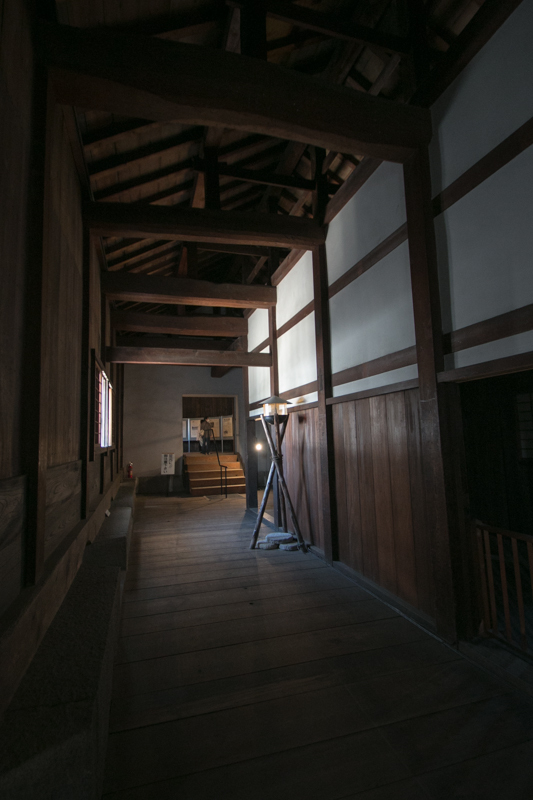 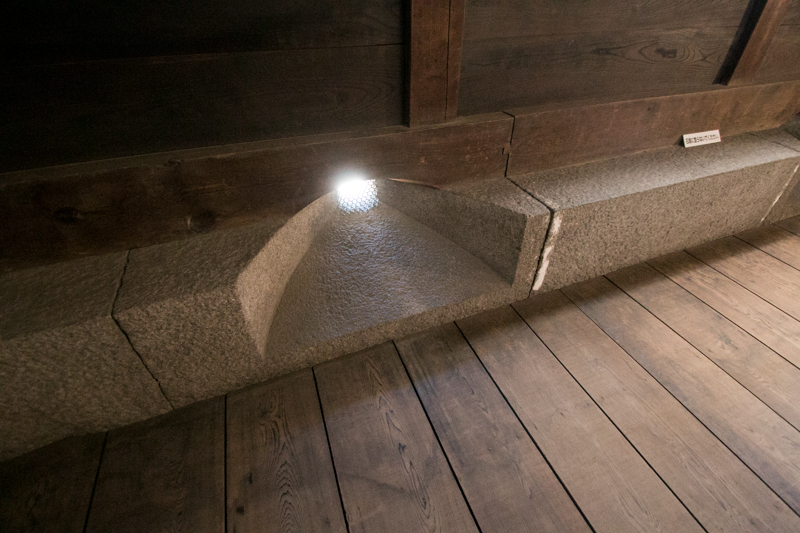 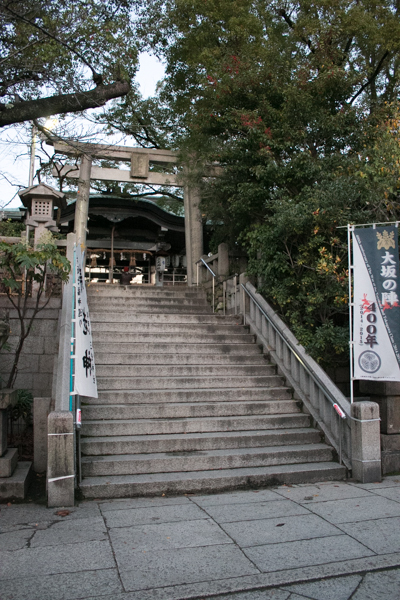 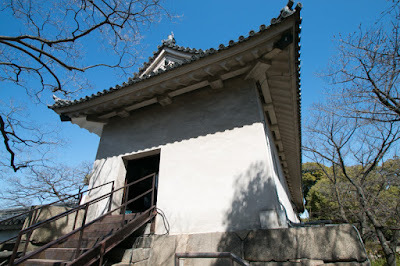 In 1614, Ieyasu made a false accusation to the letter engraved to the bell of Hokoji temple built by Hideyori that it contained the letter to curse Ieyasu, and declared the war against Toyotomi clan. Hideyori tried to apologize but failed, and now the battle occurred. Hideyori sent the letters to large lords formerly close to Hideyoshi such as Maeda clan, Asano clan or Fukushima clan, but they all declined the cooperation and supported Ieyasu. 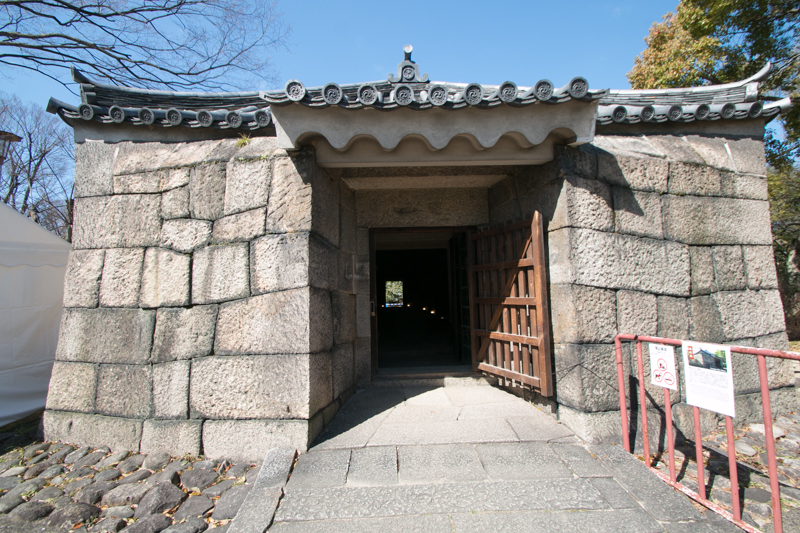 Reluctantly Hideyori gathered former lords and generals who lost their territory or job as a result of the battle of Sekigahara, and also unemployed soliders. 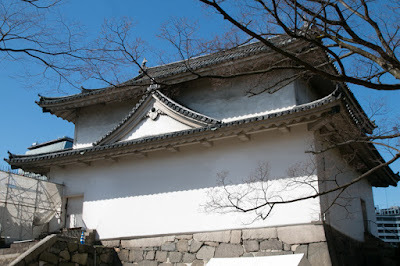 Major members of Toyotomi side were Morichika Chosokabe (1575-1615), who was the former lord of Tosa country (Kochi prefecture), Nobushige Sanada ( 1567-1615, known as Yukimura Sanada), who was the son of Masayuki Sanada (1547-1611) that was the lord of Ueda castle , Katsunaga Mouri (1577-1615), who was the former lord of Kokura castle (Fukuoka prefecture), Motsotsugu Goto (1560-1615, known as Matabe) who was the general under Kuroda clan, and Takenori Akashi (?-1618? 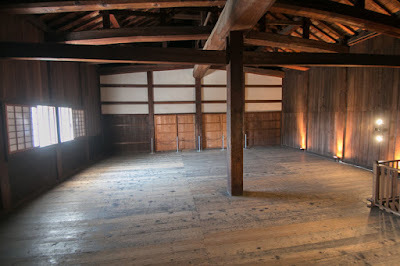 ), who was the former general of Ukita clan and an enthusiastic Chiristion named as Don Justo. 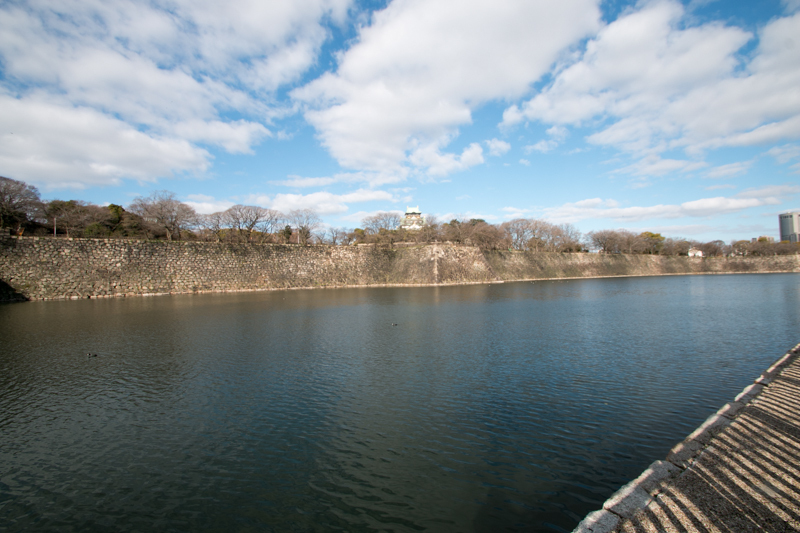 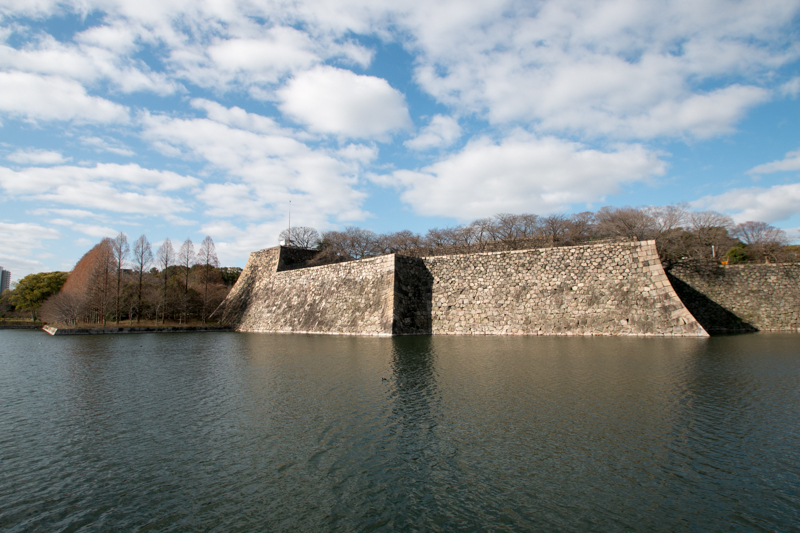 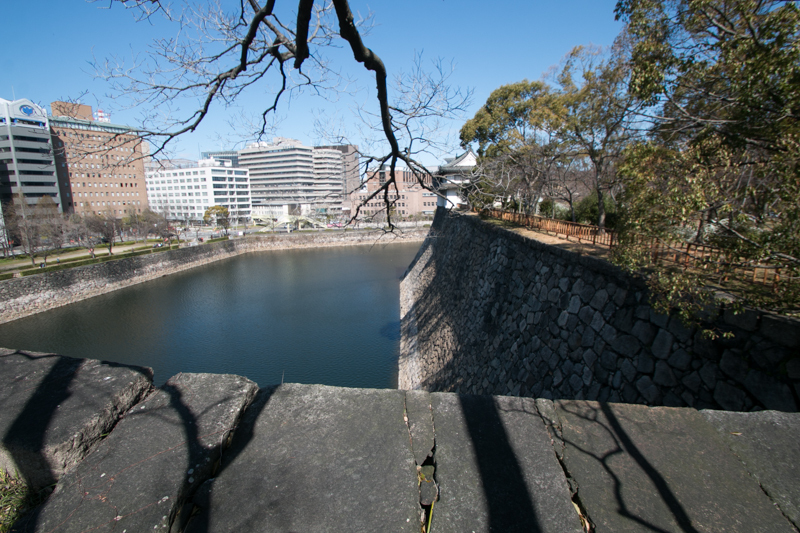 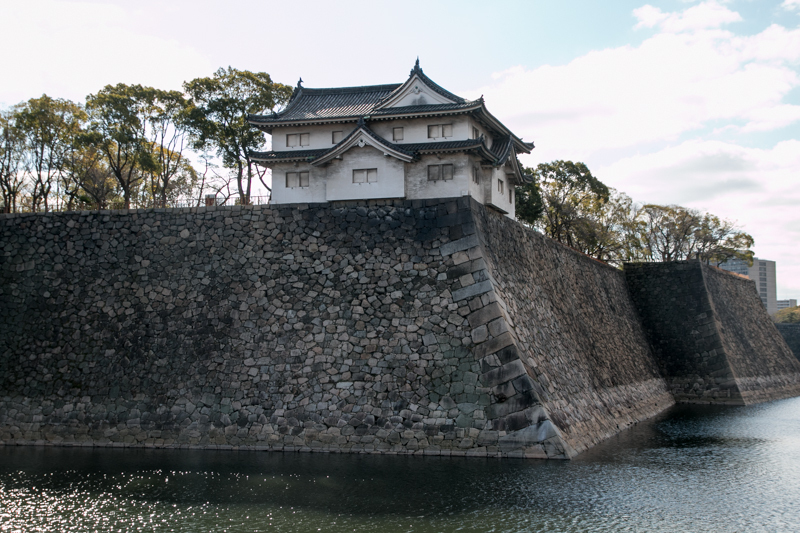 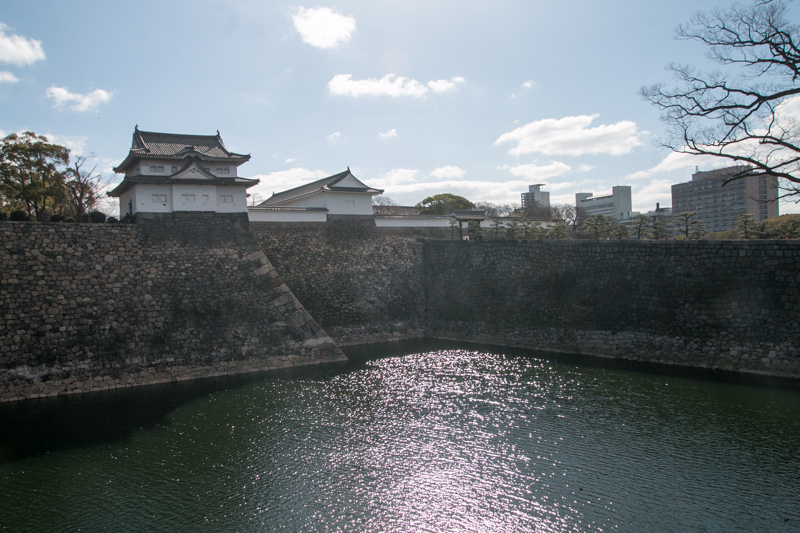 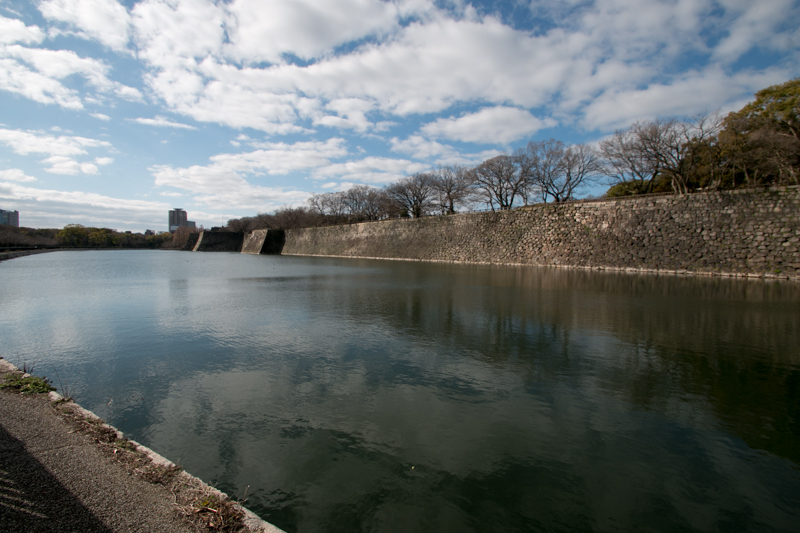 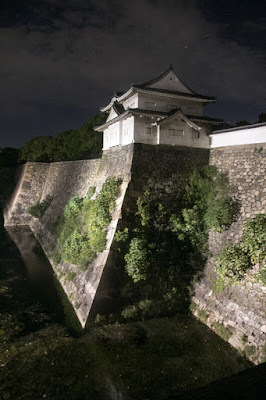 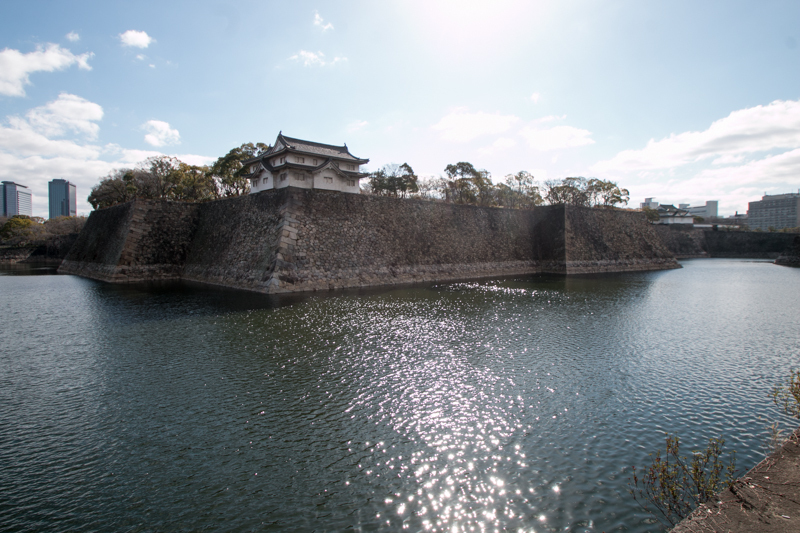 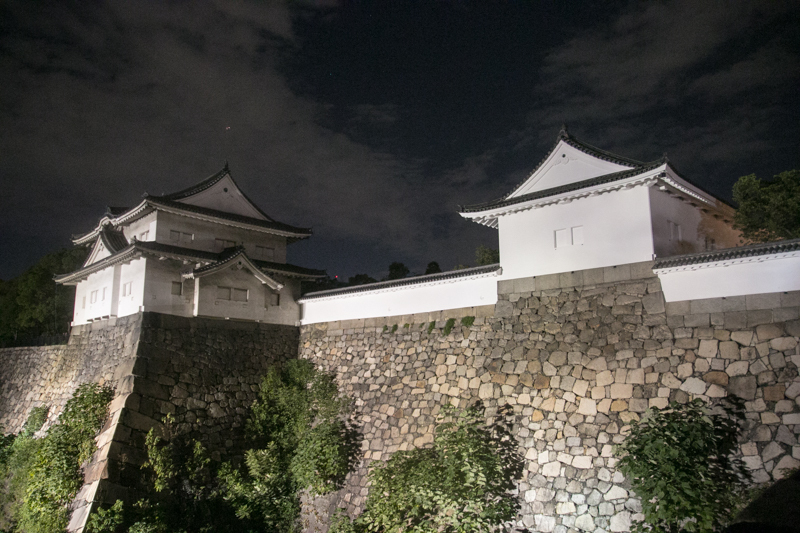 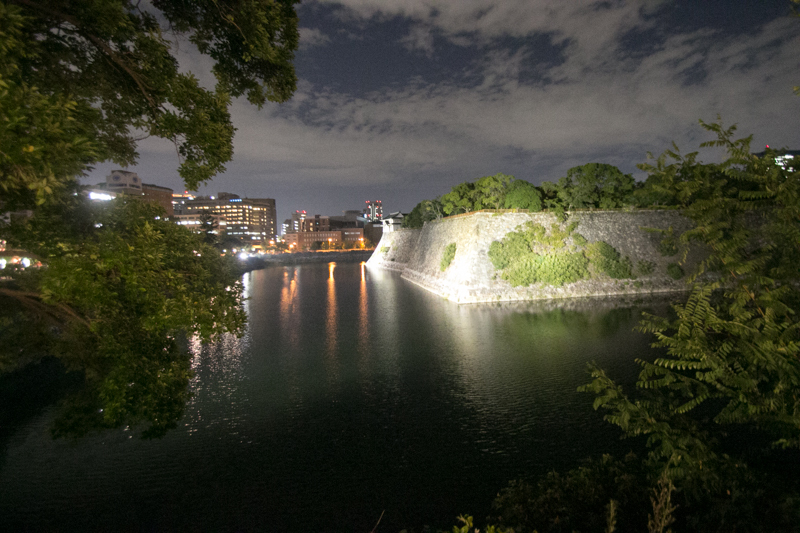 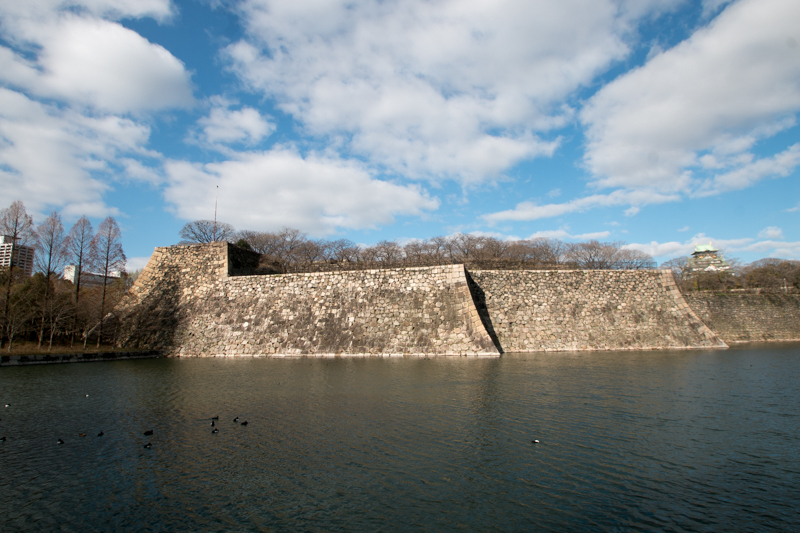 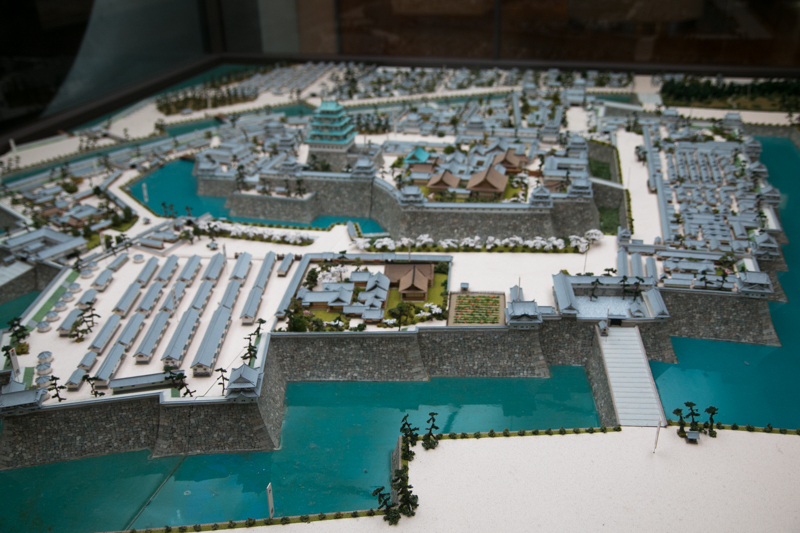 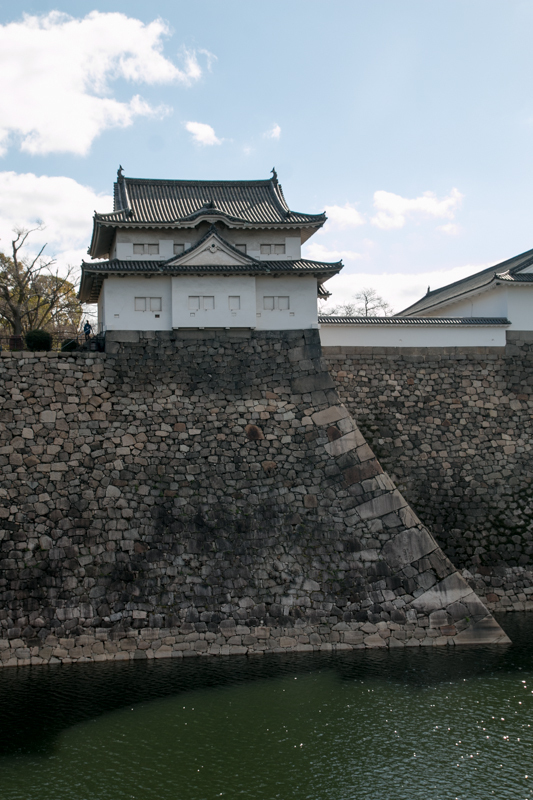 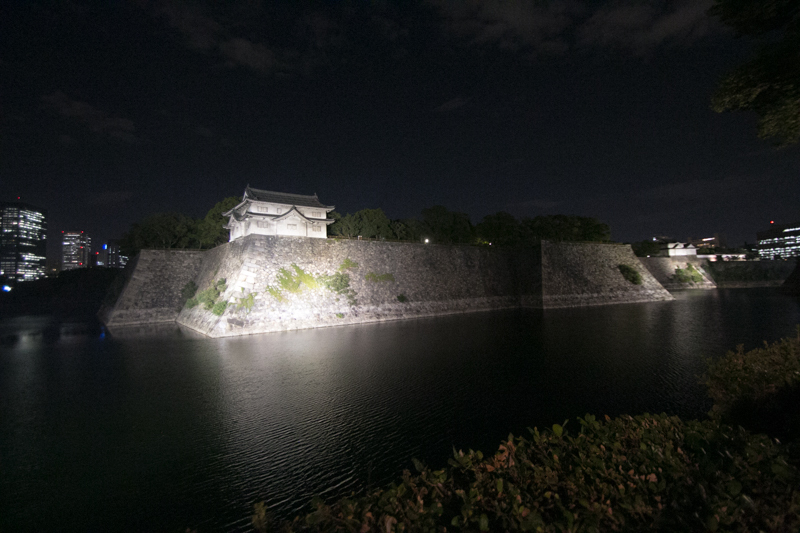 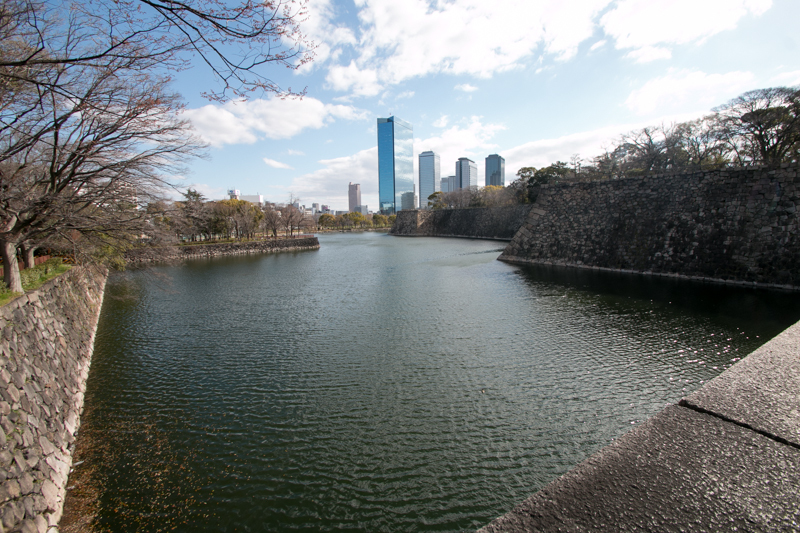 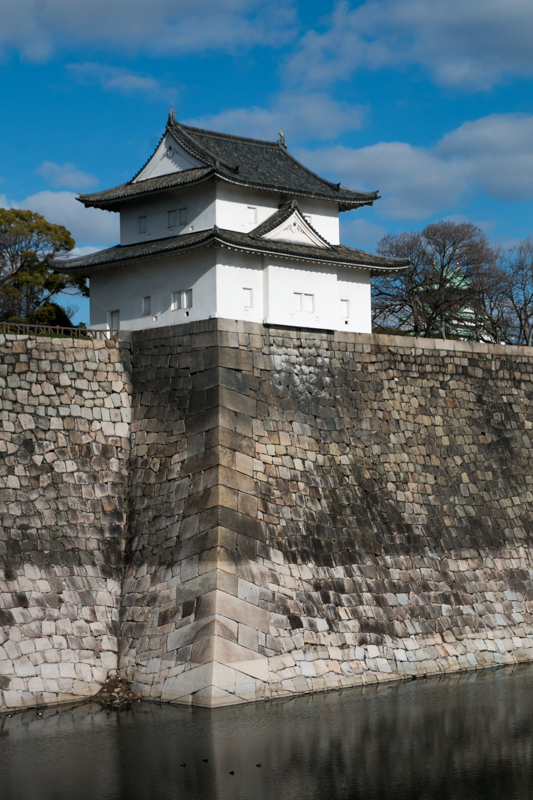 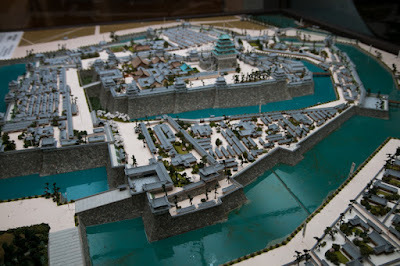 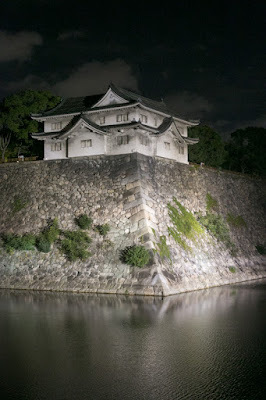 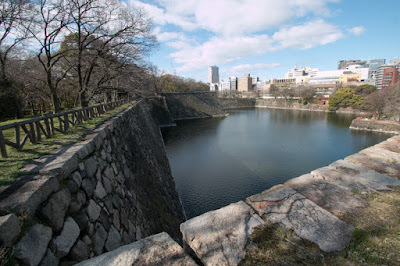 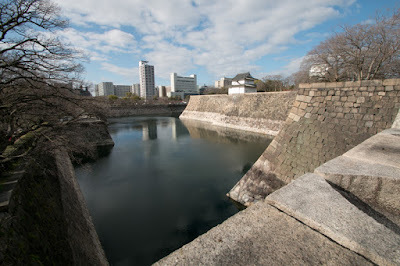 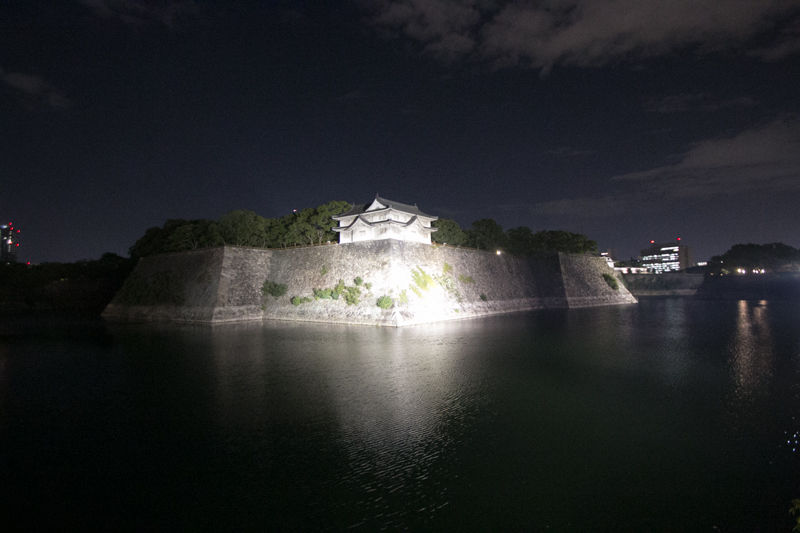 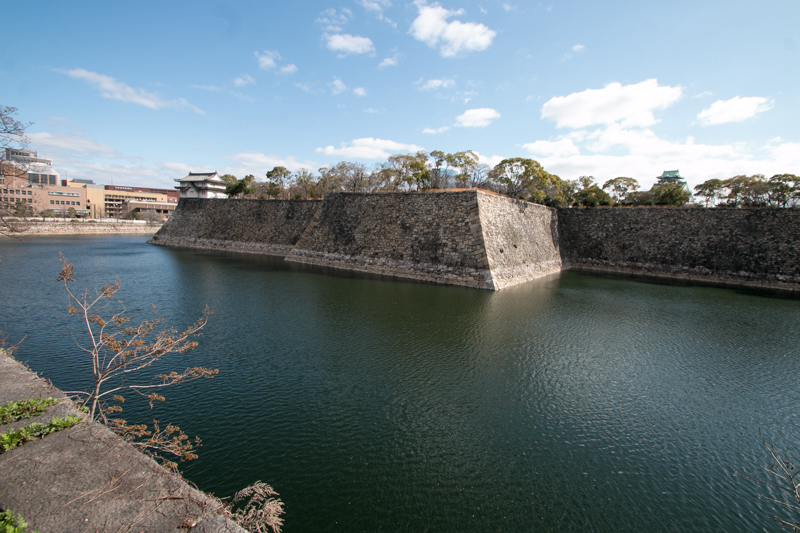 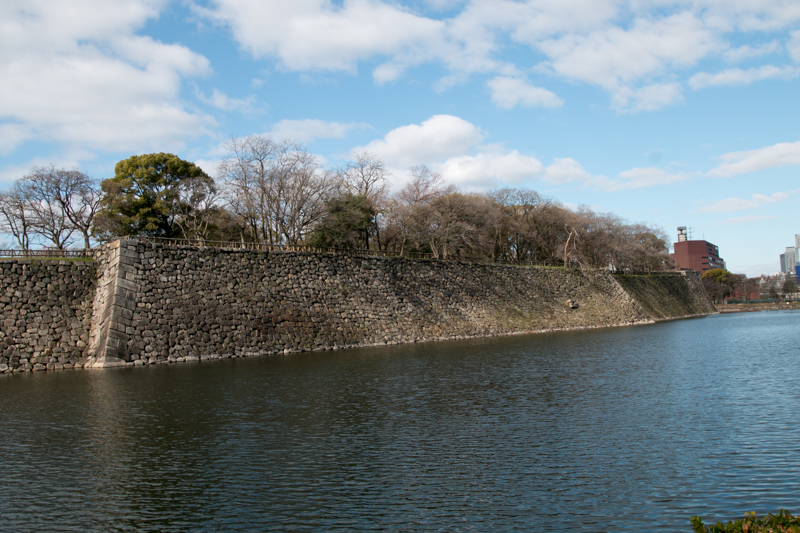 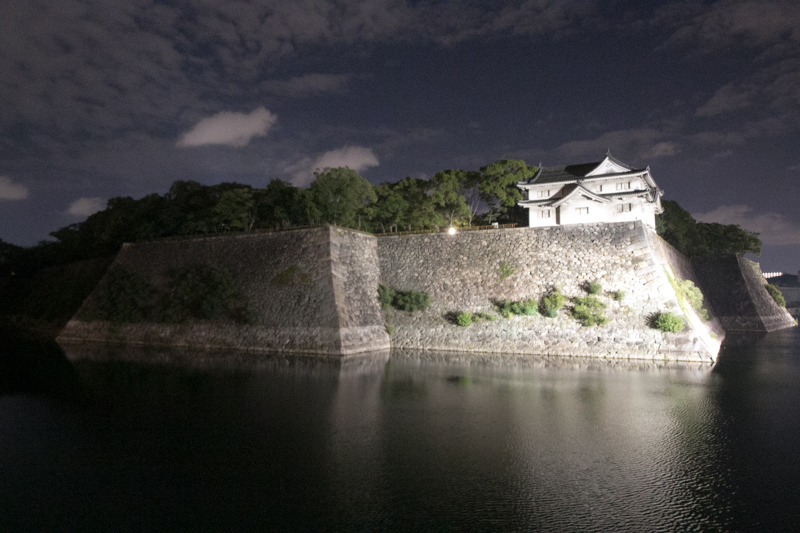 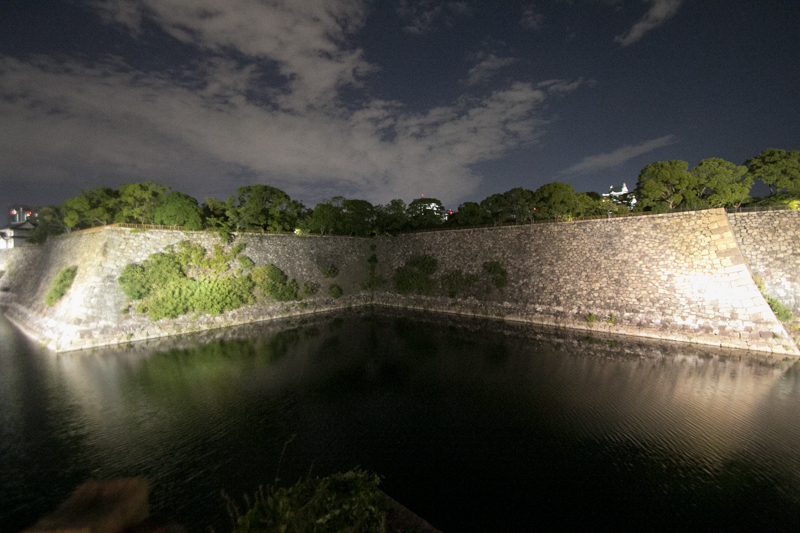 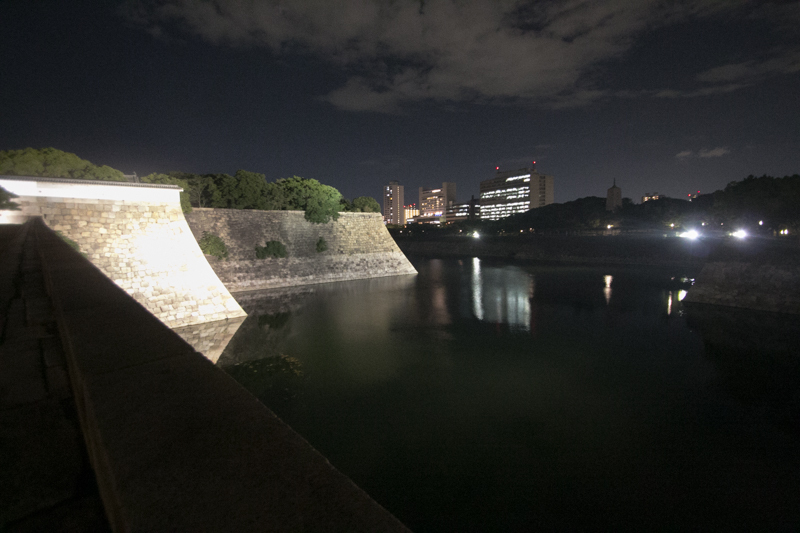 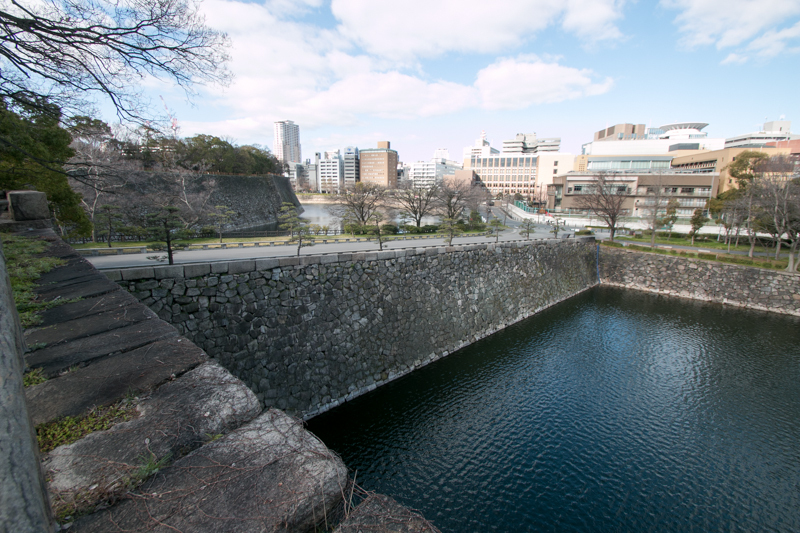 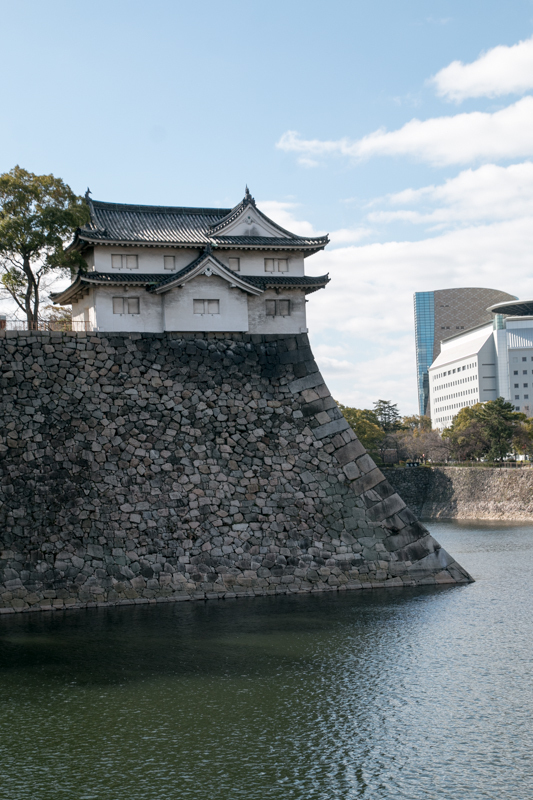 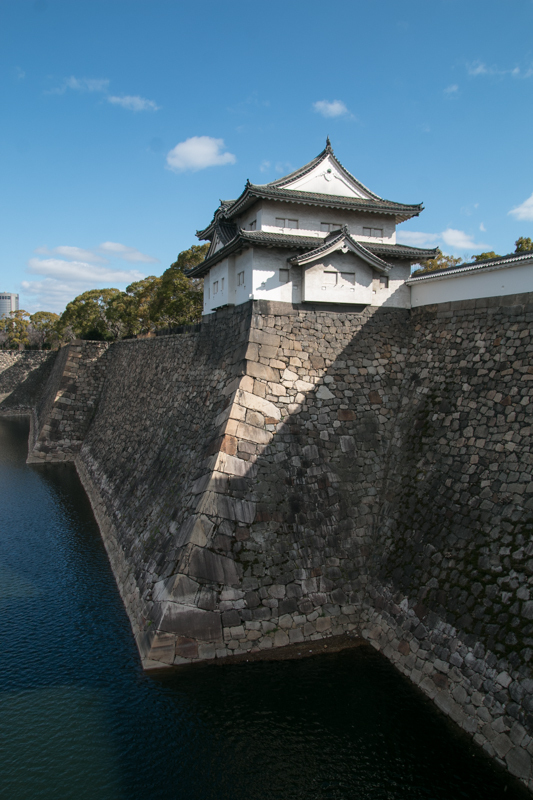 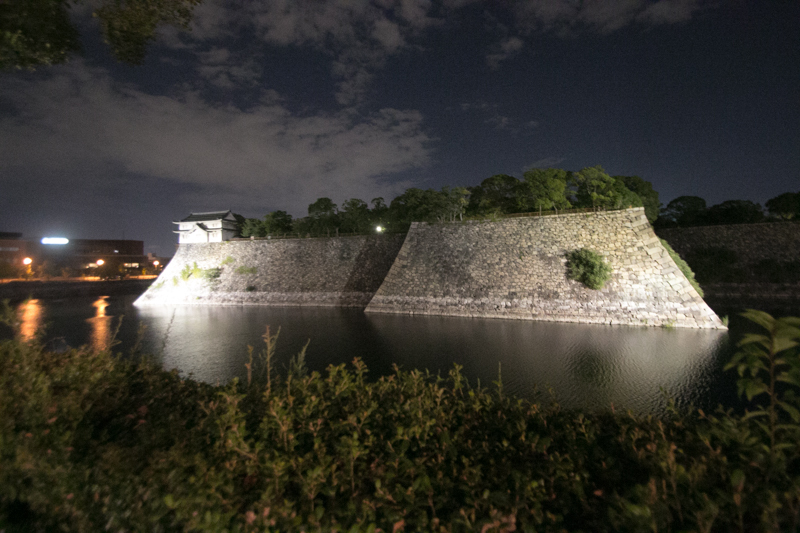 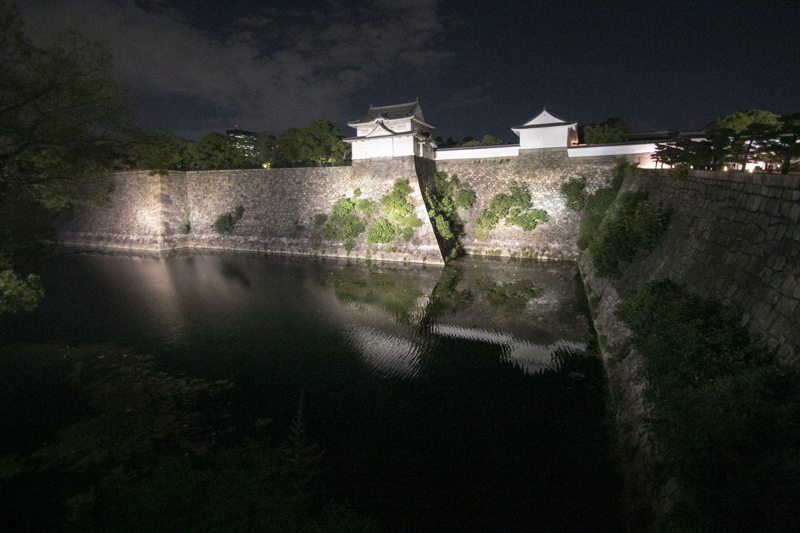 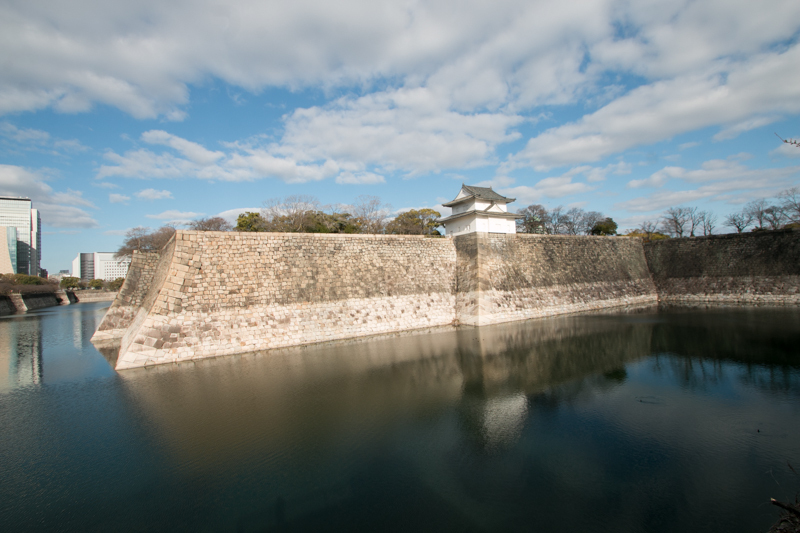 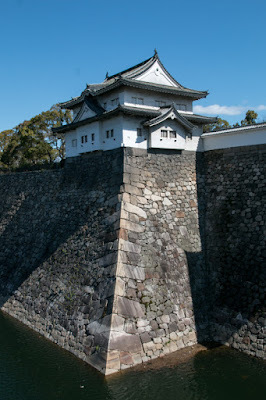 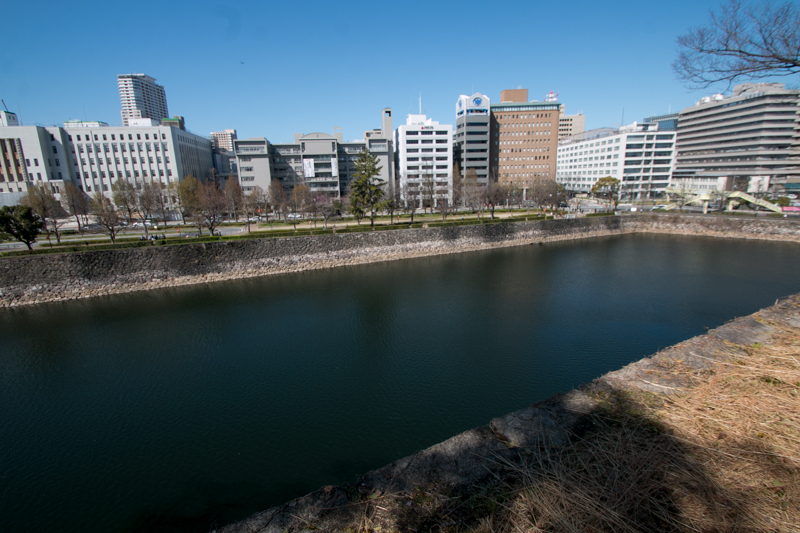 Osaka side gathered 100,000 soldiers, and built outer barrier around the castle. 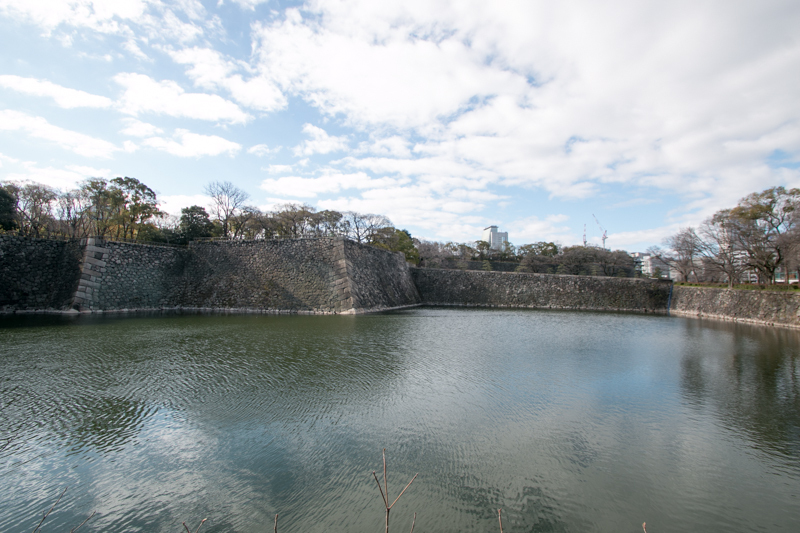 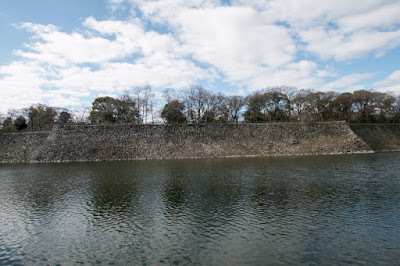 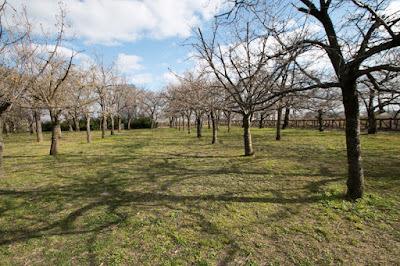 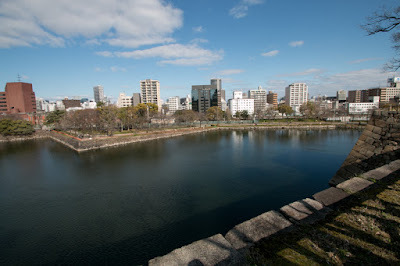 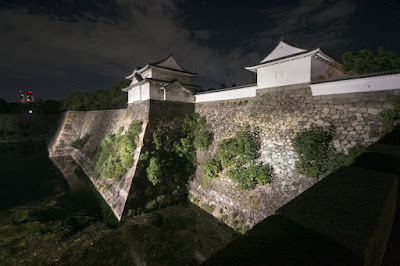 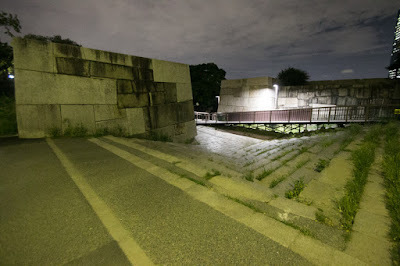 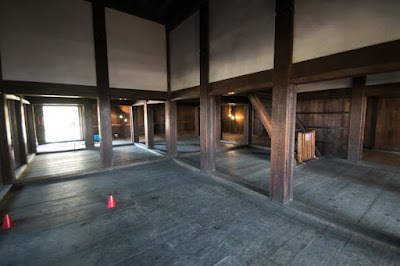 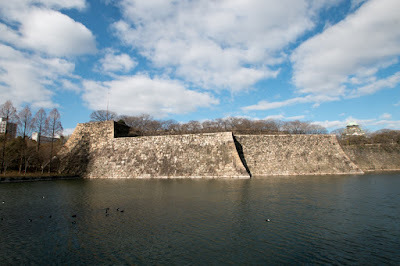 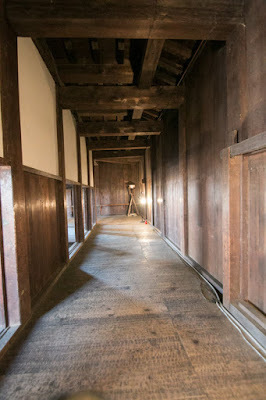 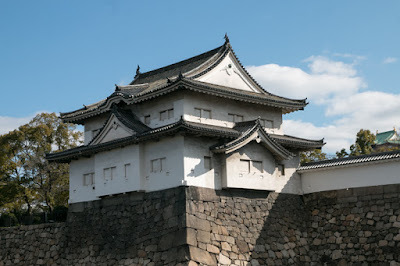 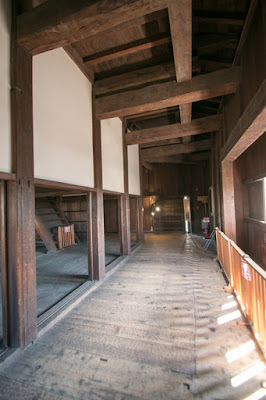 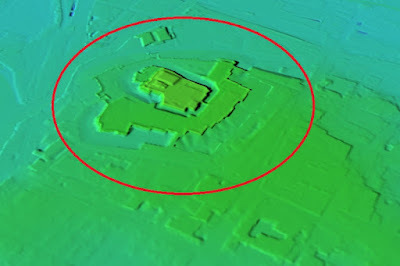 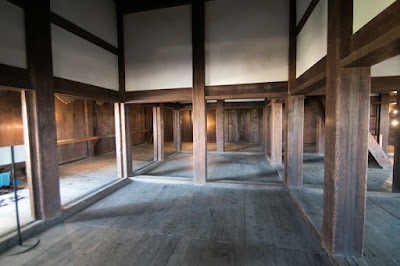 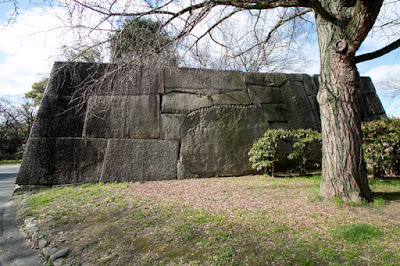 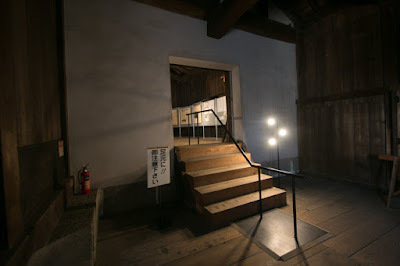 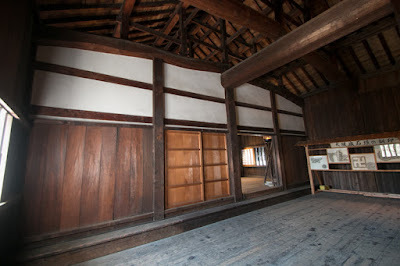 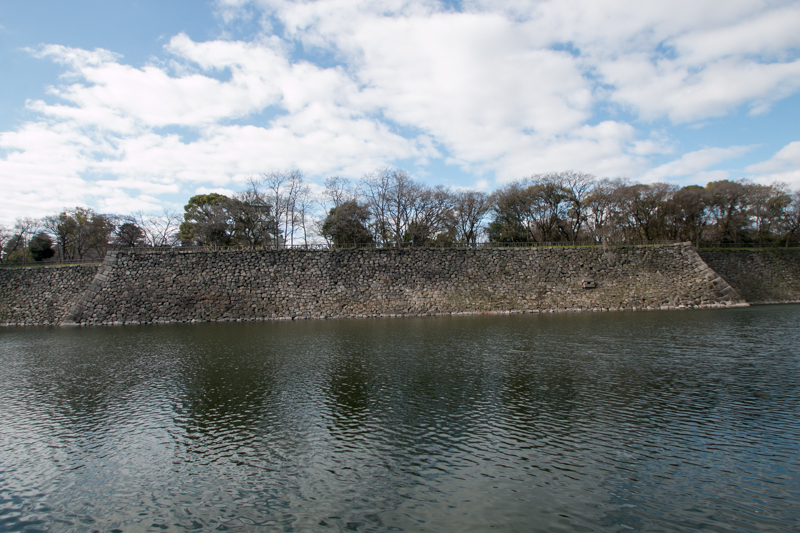 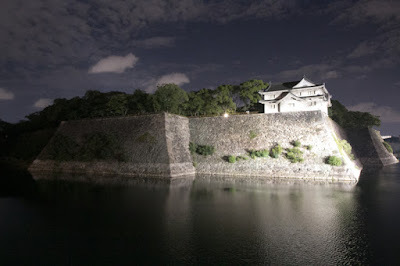 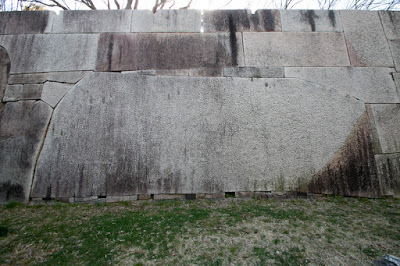 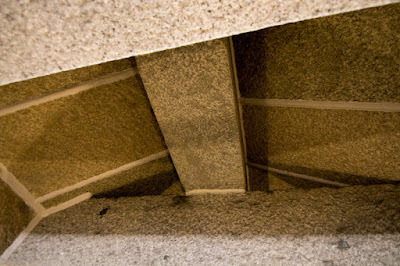 Especially Nobushige Sanada built a front fort named "Sanadamaru" (Sanada area) at the south east edge of the outer barrier, a weak point of the castle connected to the outside by height. 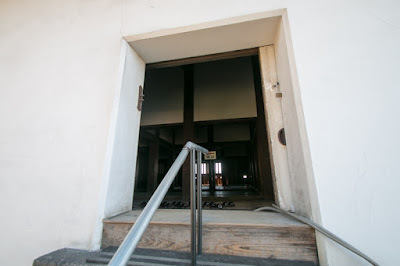 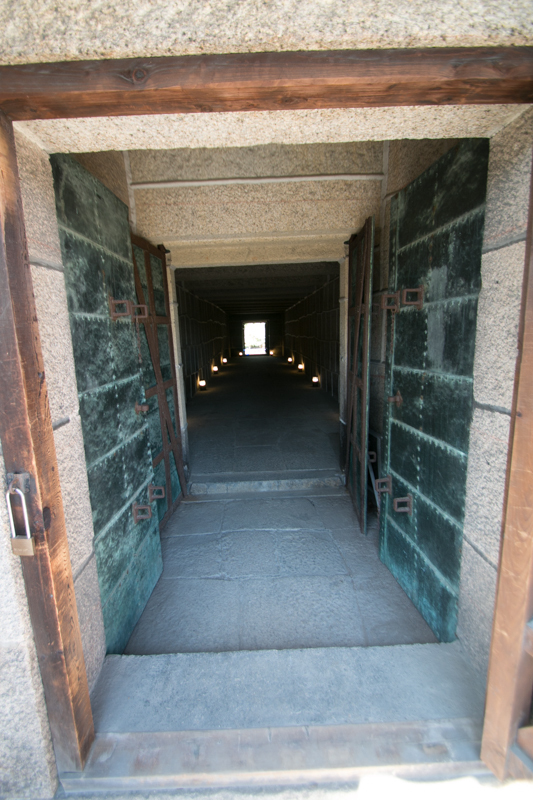 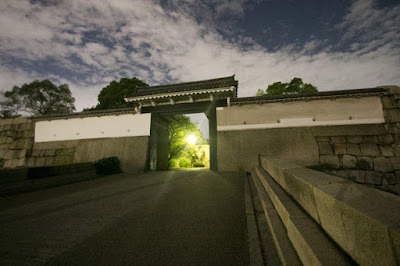 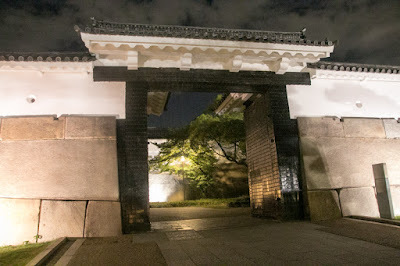 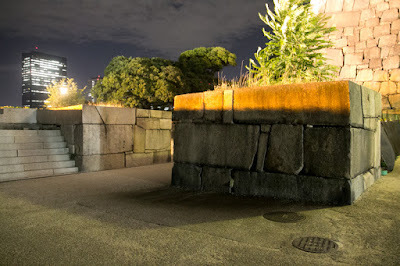 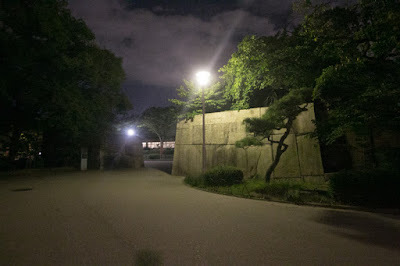 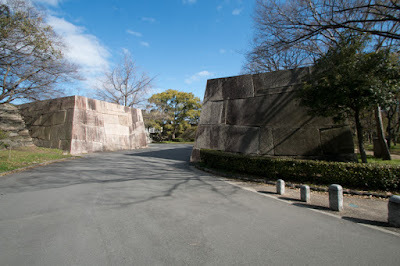 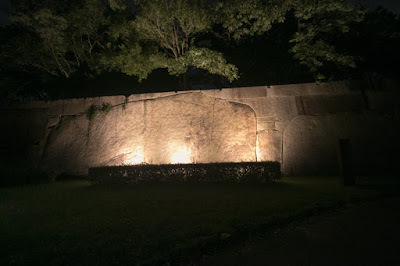 Considering that no support is expected from outside, some generals such as Mototsugu or Yukimura made a preemptive attack to change the situation, but finally Toyotomi side decided to confine in the secure Osaka castle. 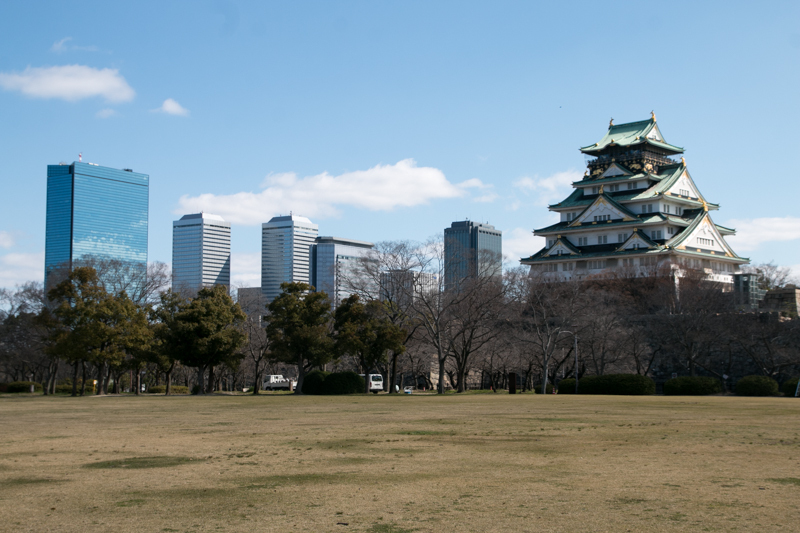 In November 1614, Tokugawa army of 200,000 soldiers surrounded Osaka castle and Winter Battle of Osaka Castle (Osaka Fuyu no Jin) started. 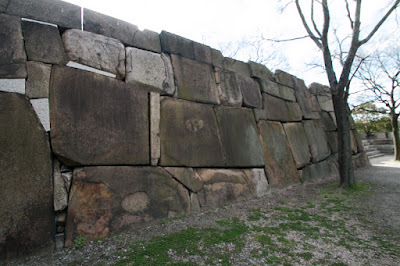 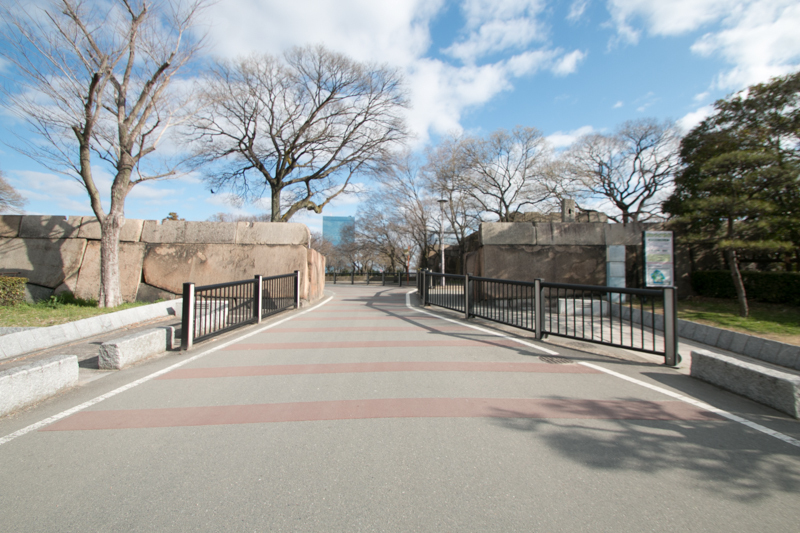 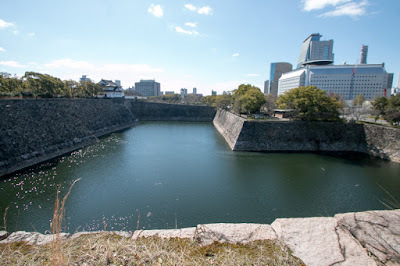 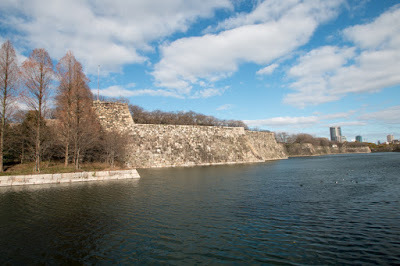 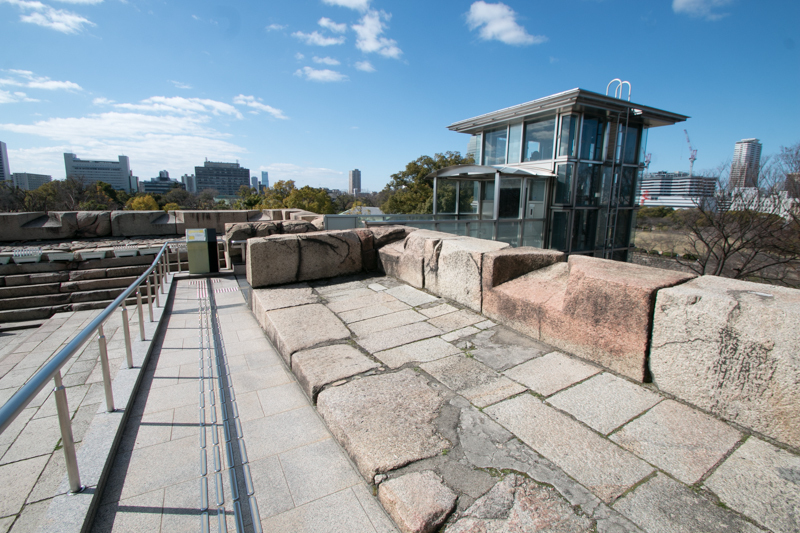 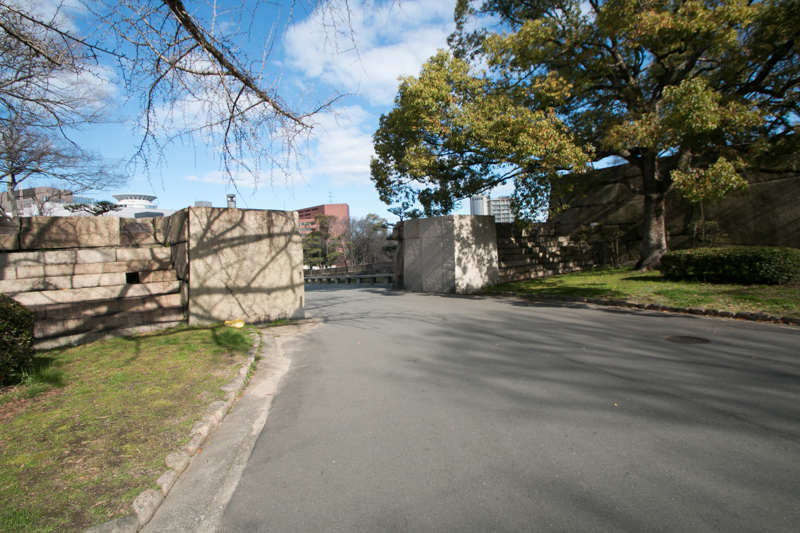 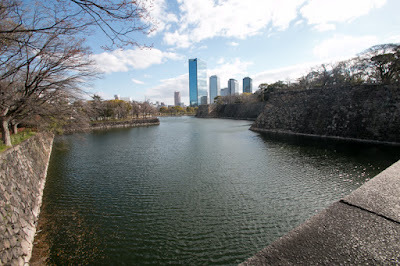 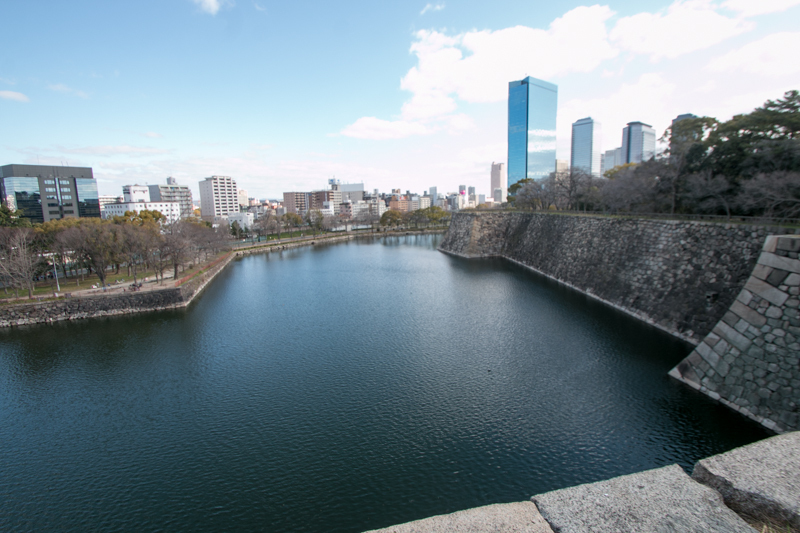 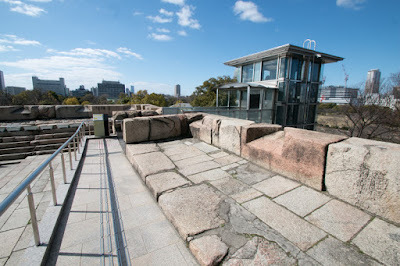 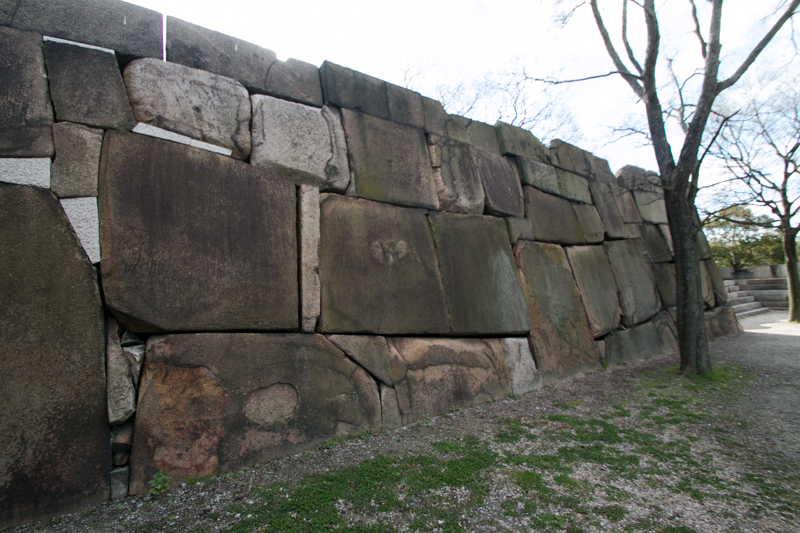 Tokugawa army captured small forts built by Osaka side outside of the castle, but Osaka castle was guarded by sufficient soldiers and secure outer barriers, Tokugawa army could not attack to the barrier and the situation became deadlock. 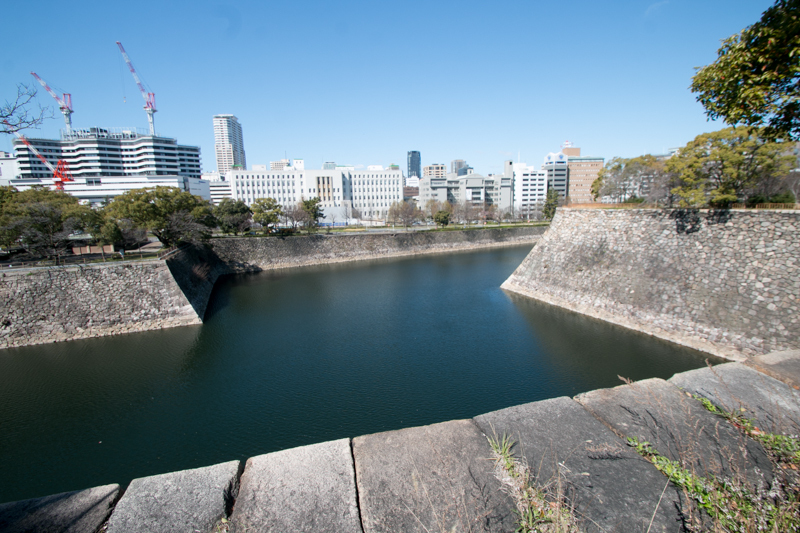 At the beginning of December, there was a plan of the betrayal by the general of Osaka side, but it was discovered and suspect was killed. 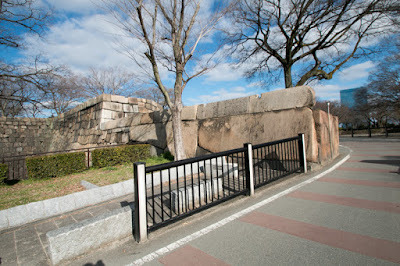 Toyotomi side hided that fact and sent a signal of betrayal to Tokugawa side. 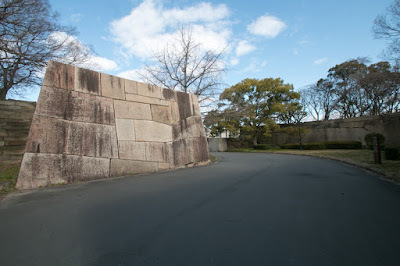 Tokugawa side trusted this sign and attacked the outer wall all at once, but Toyotomi side was well prepared and fiercely fired to attacking soldiers. 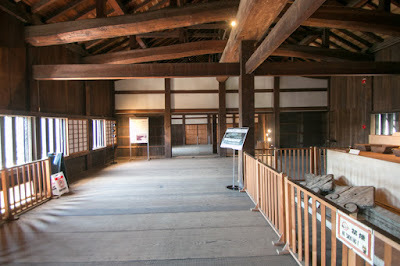 Especially Nobushige Sanada provoked Maeda army and dragged to Samadamaru, and gave a severe damage to Maeda army by pincer attack from Sanadamaru and outer barrier. 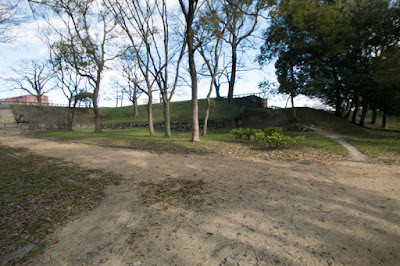 Tokugawa side lost many soldiers and once retreated. 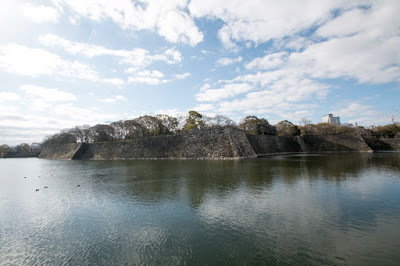 Seeing that forced attack was impossible, Ieyasu changed the tactics to more steady one. 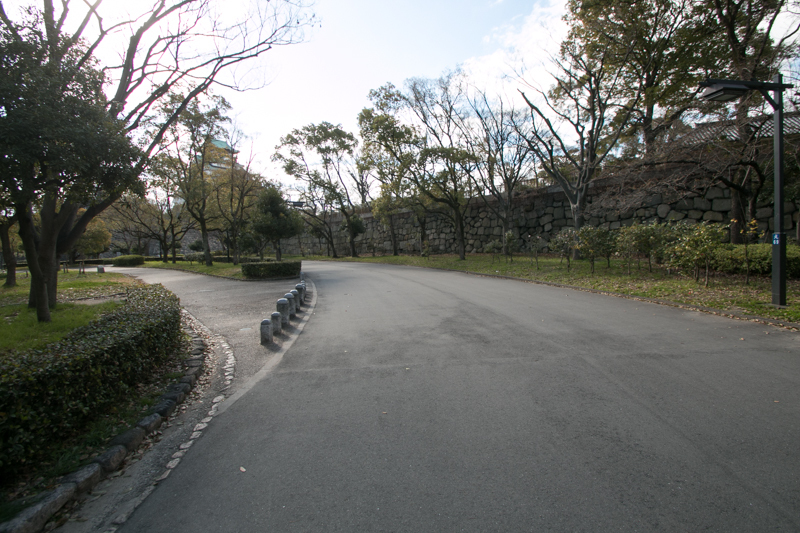 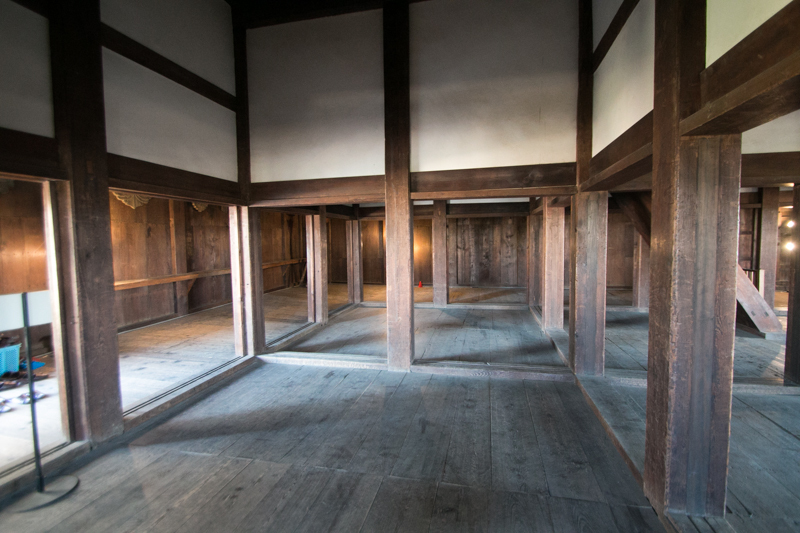 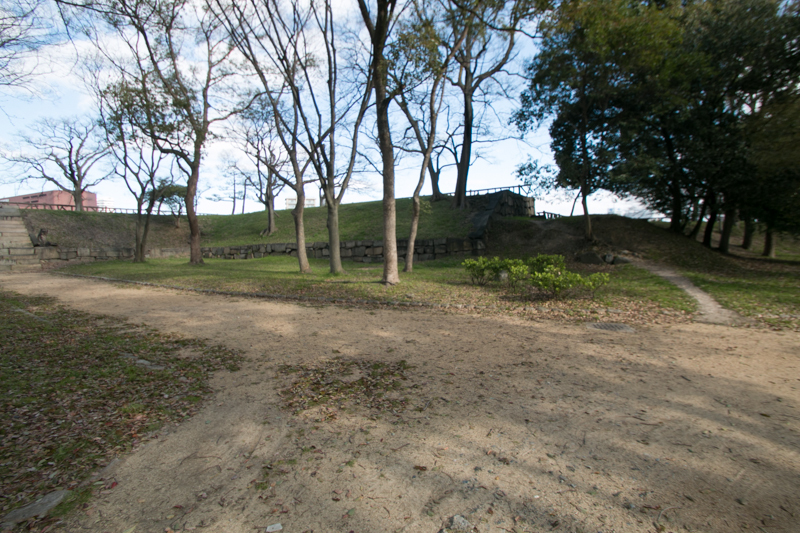 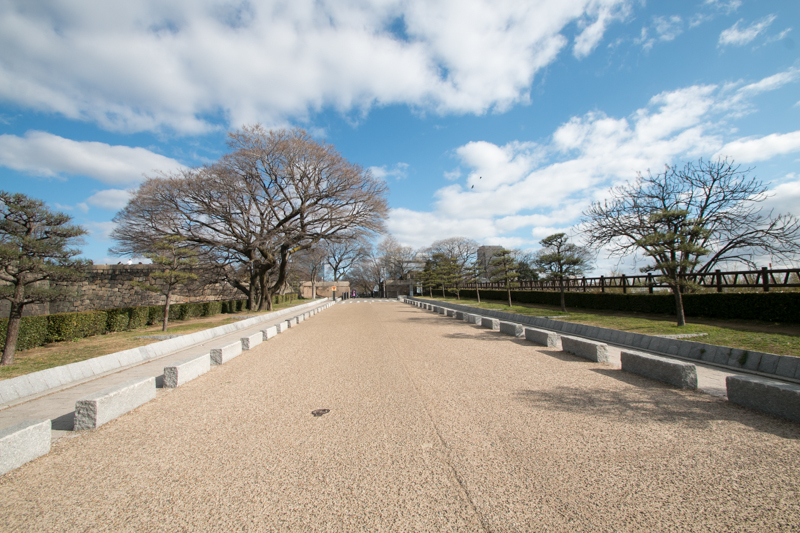 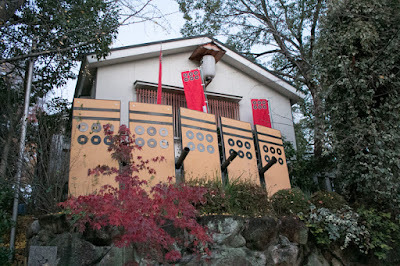 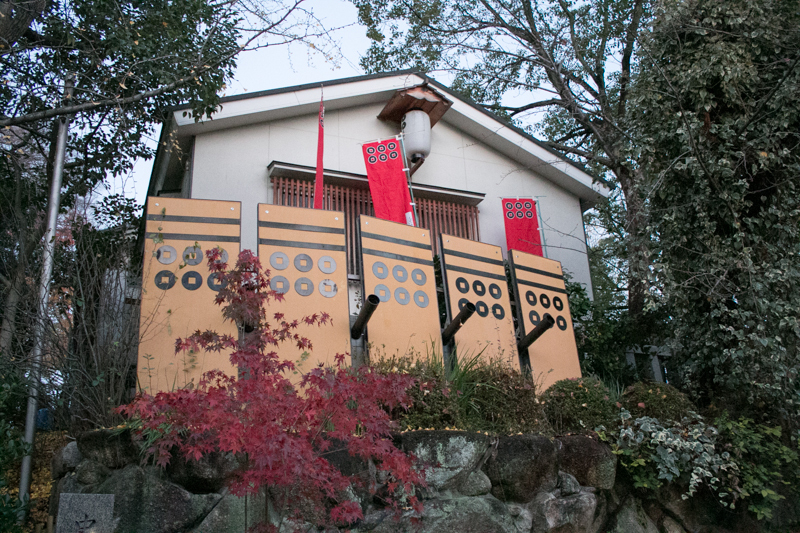 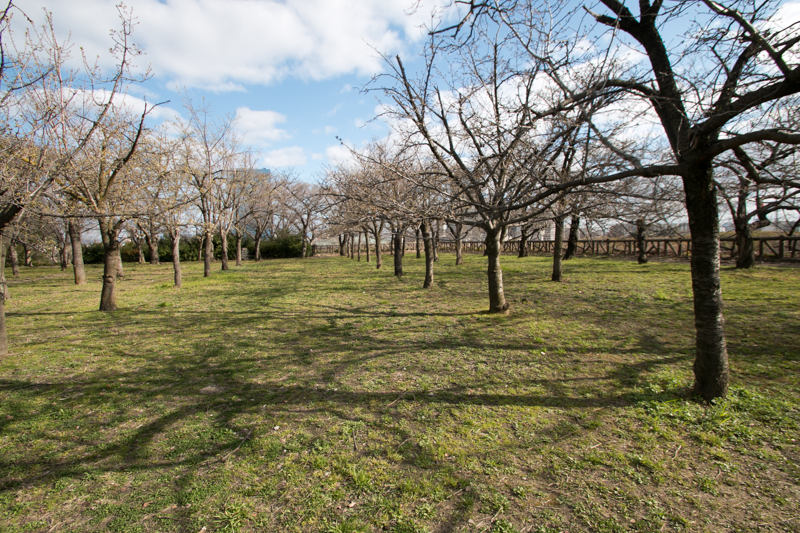 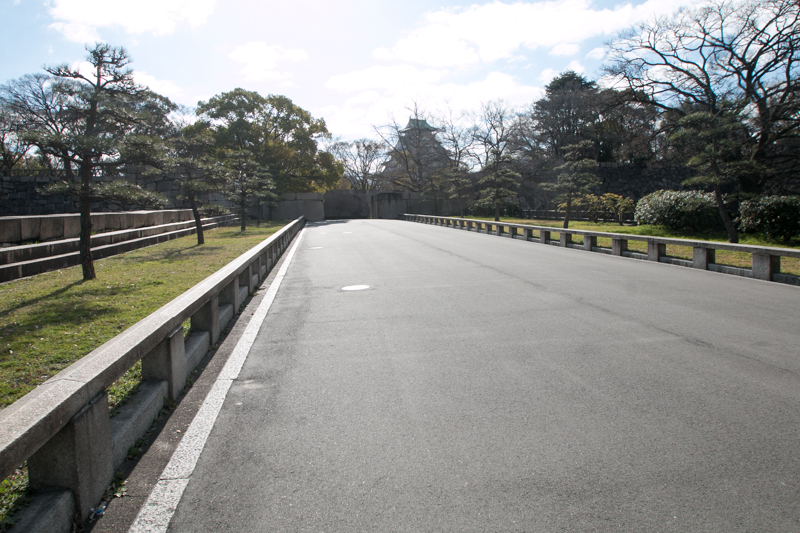 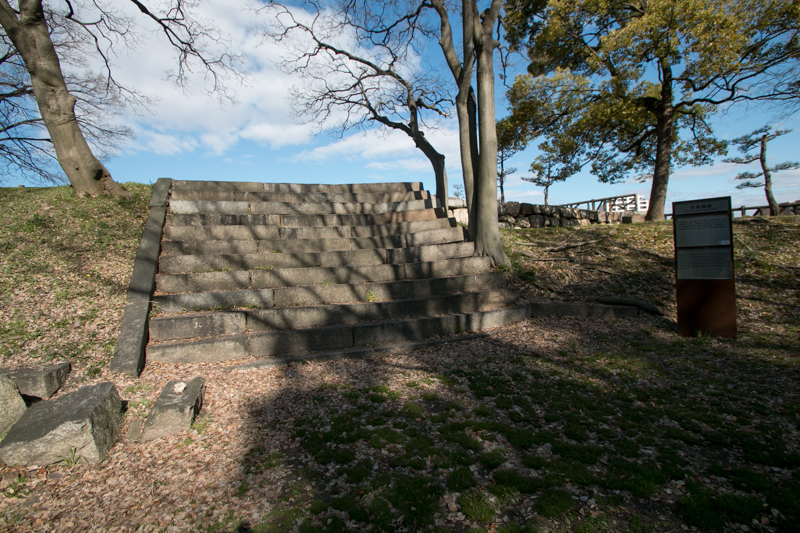 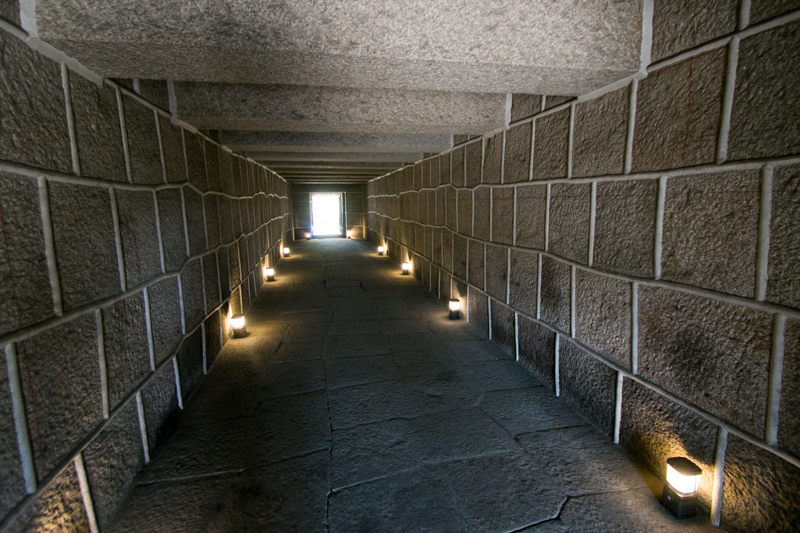 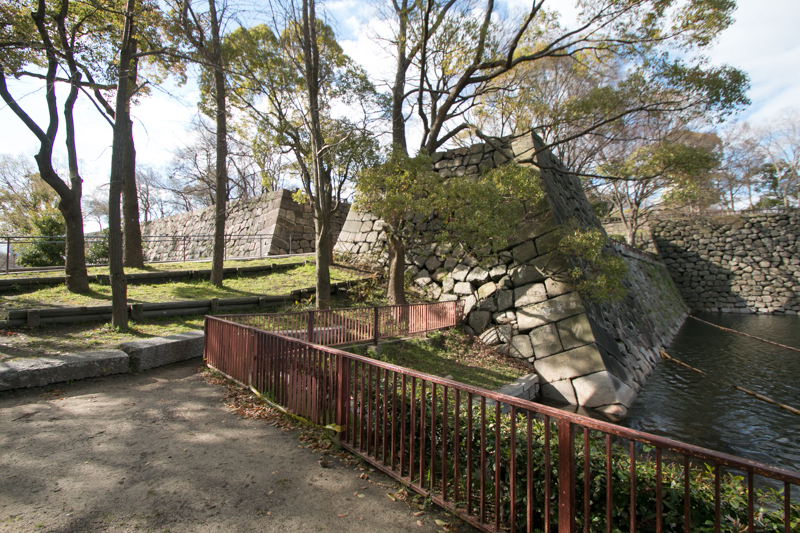 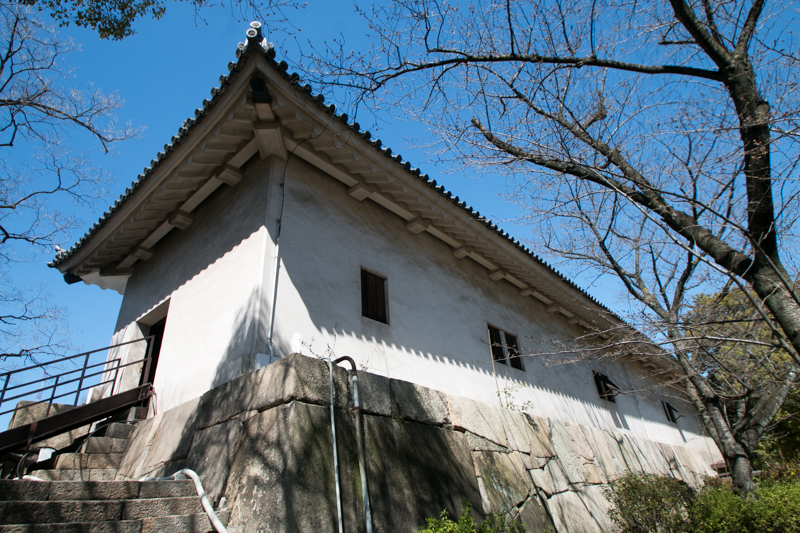 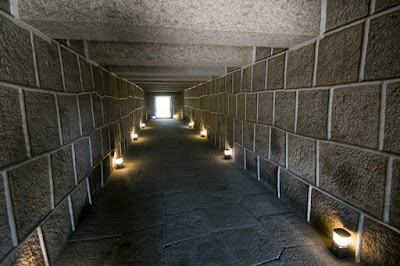 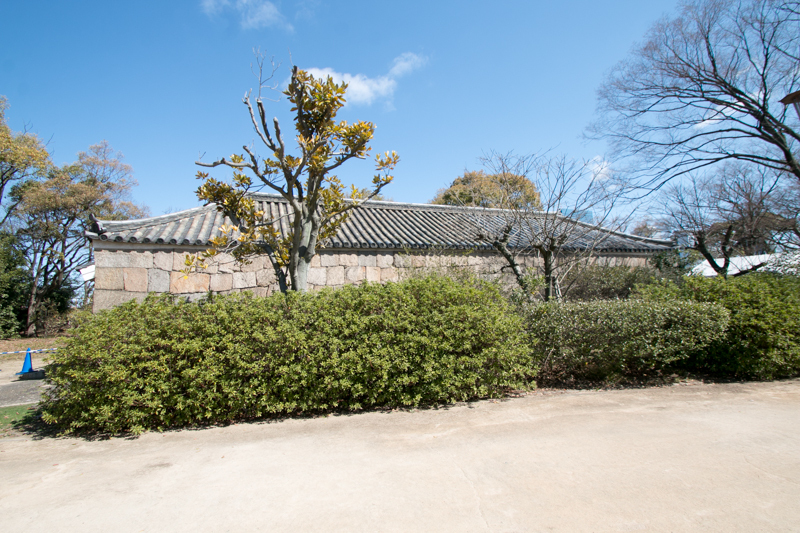 Ieyasu built infantry positions to approach to the castle, and stroke the castle by cannons. The bullet of cannon directly hit the central area of the castle, and fearing this attack Princess Yodo finally decided to made peace with Ieyasu. 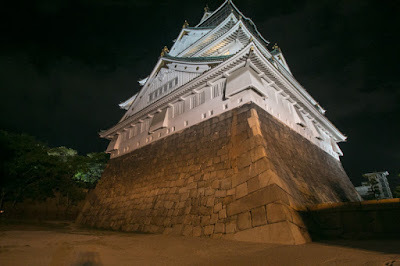 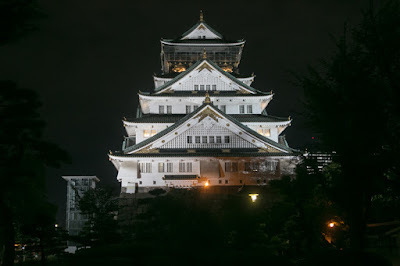 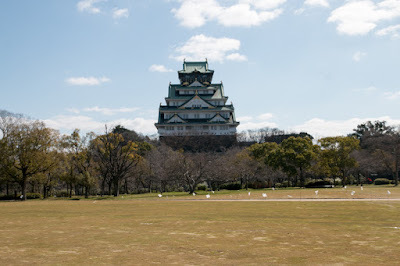 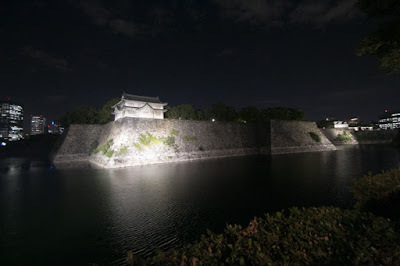 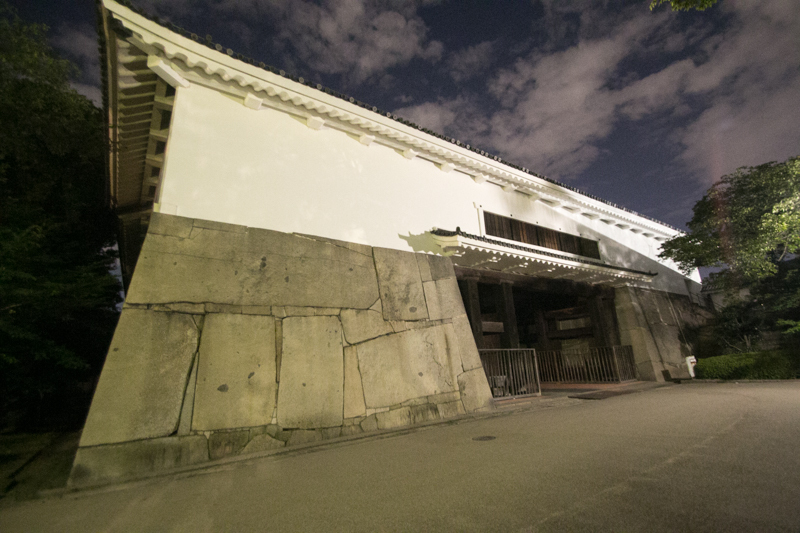 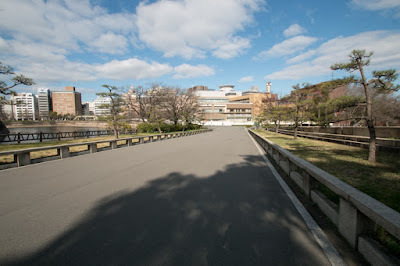 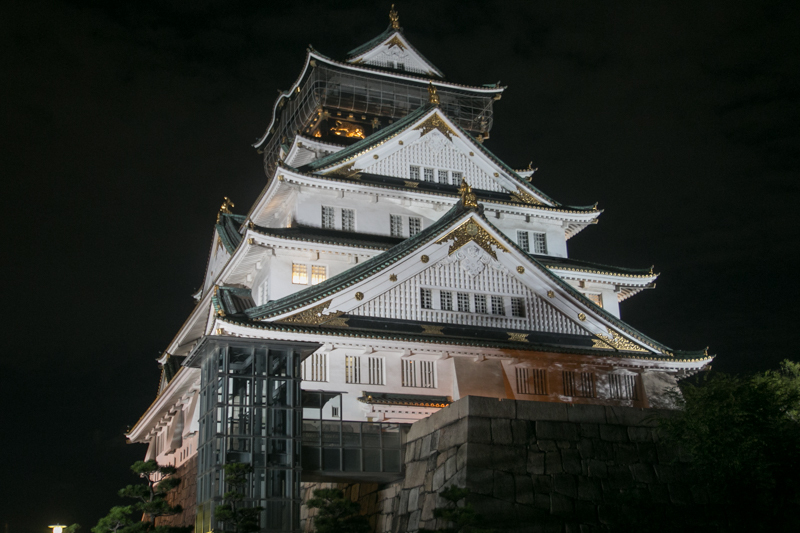 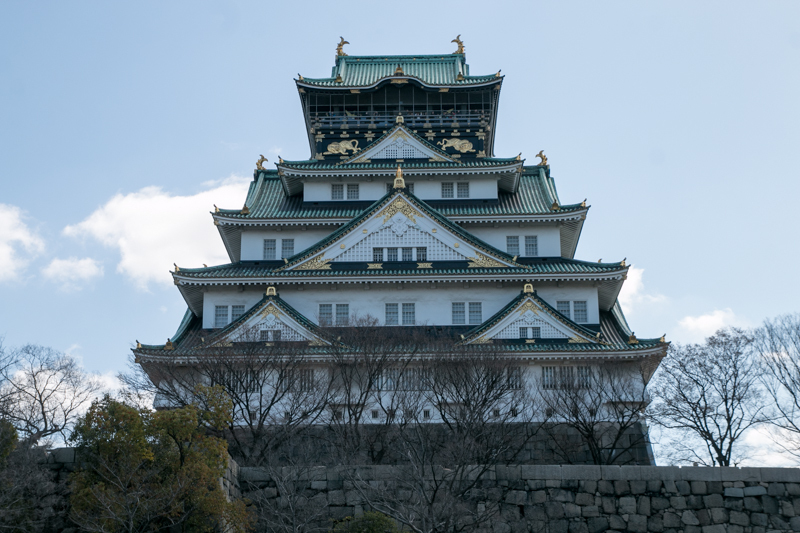 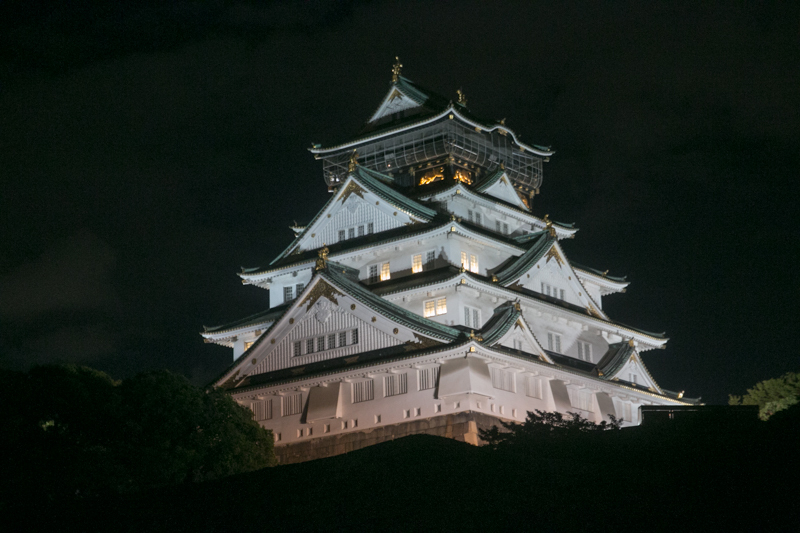 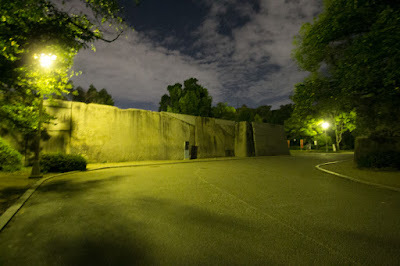 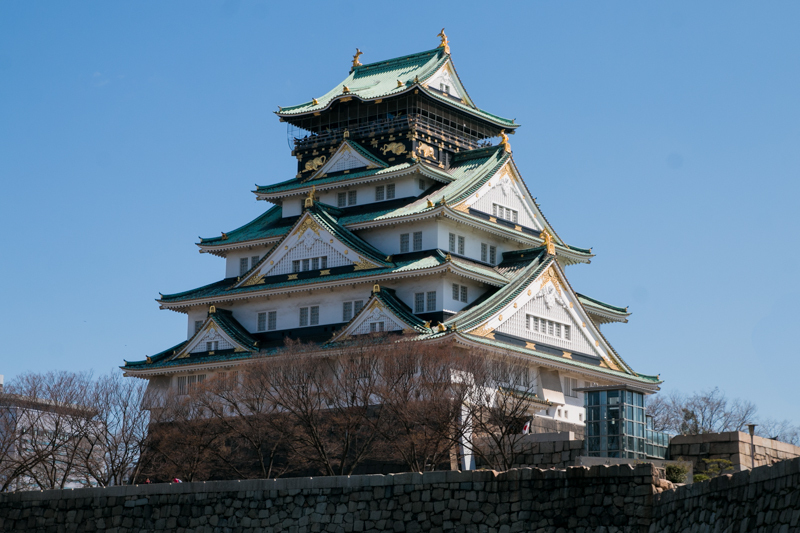 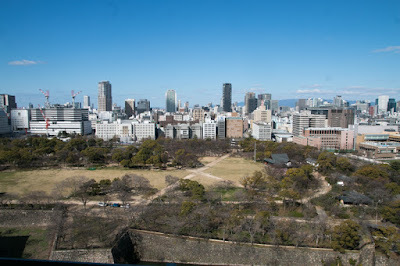 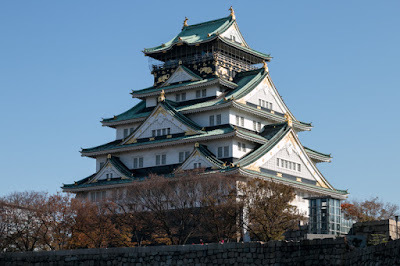 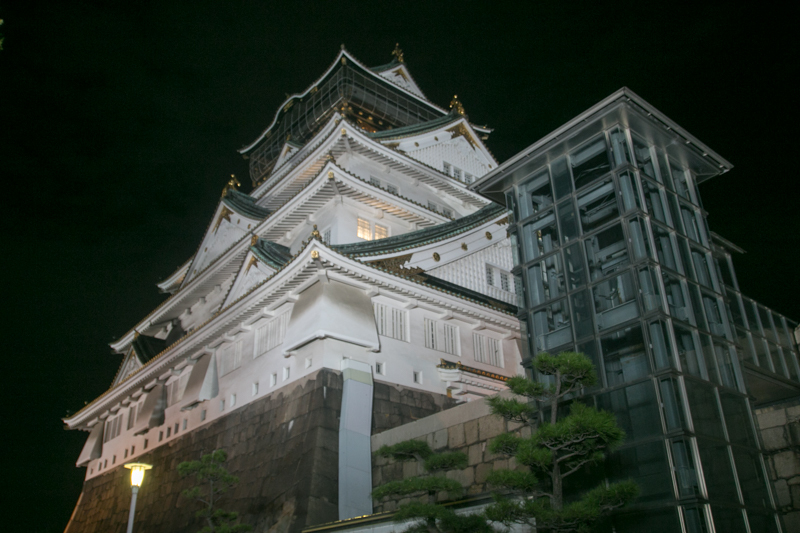 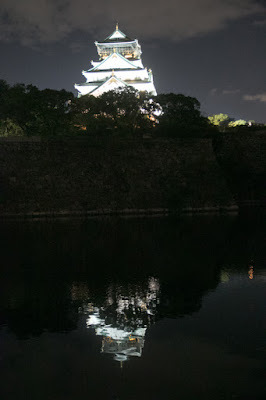 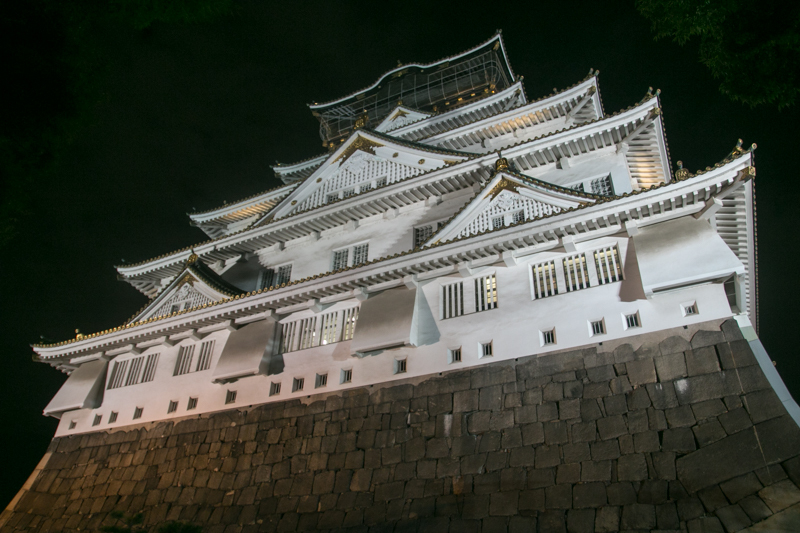 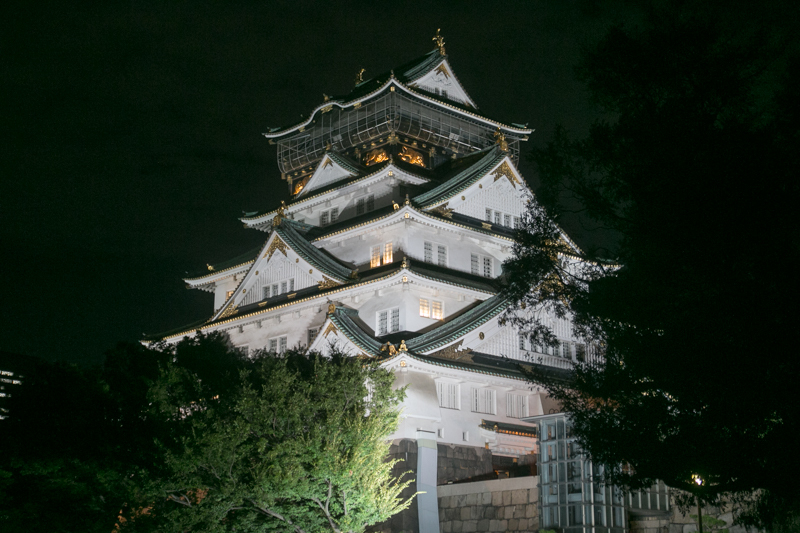 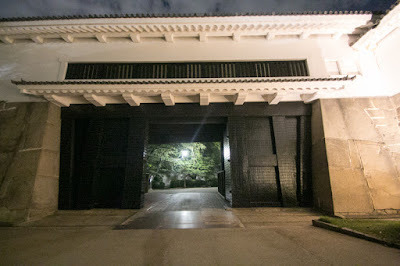 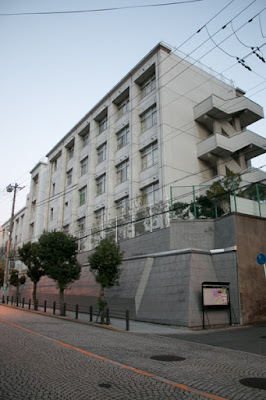 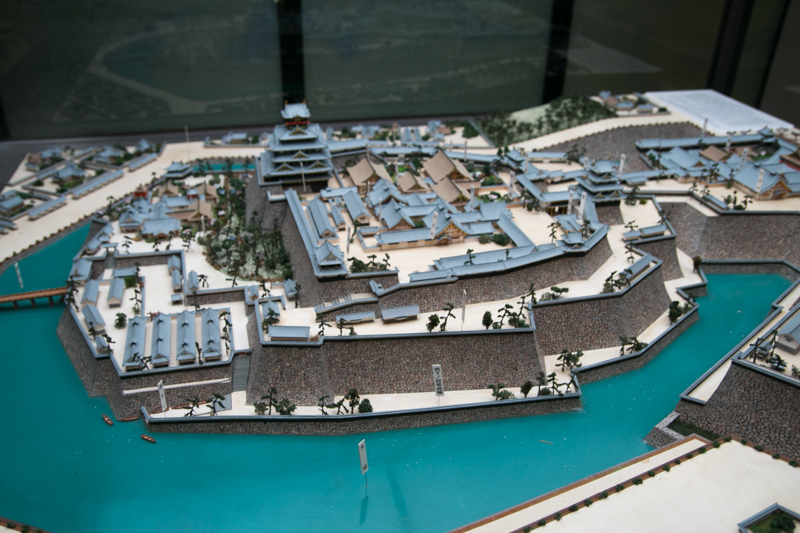 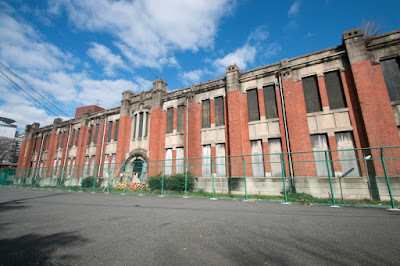 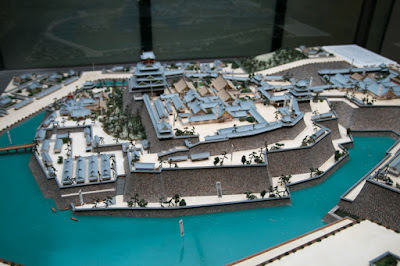 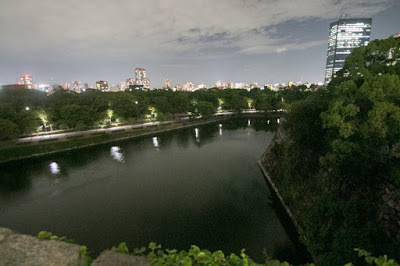 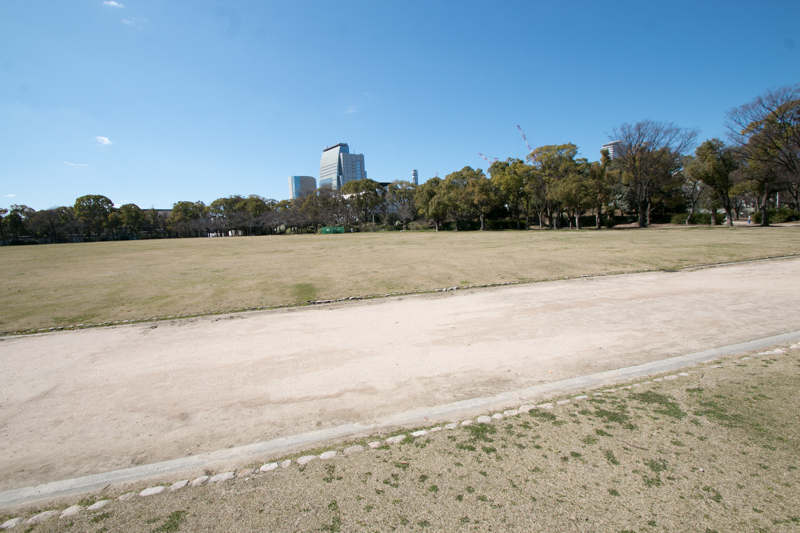 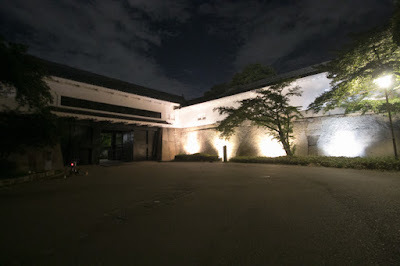 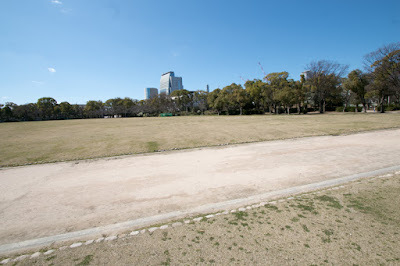 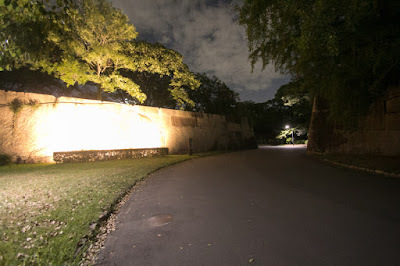 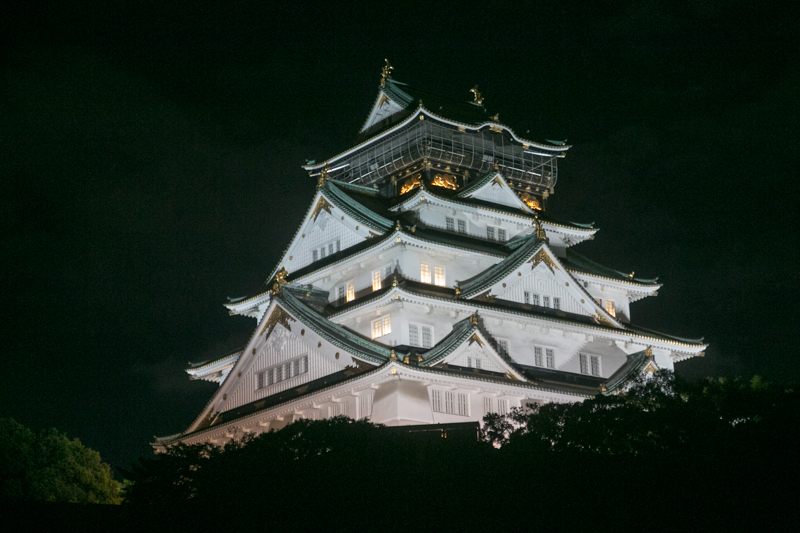 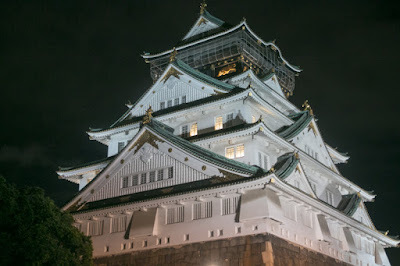 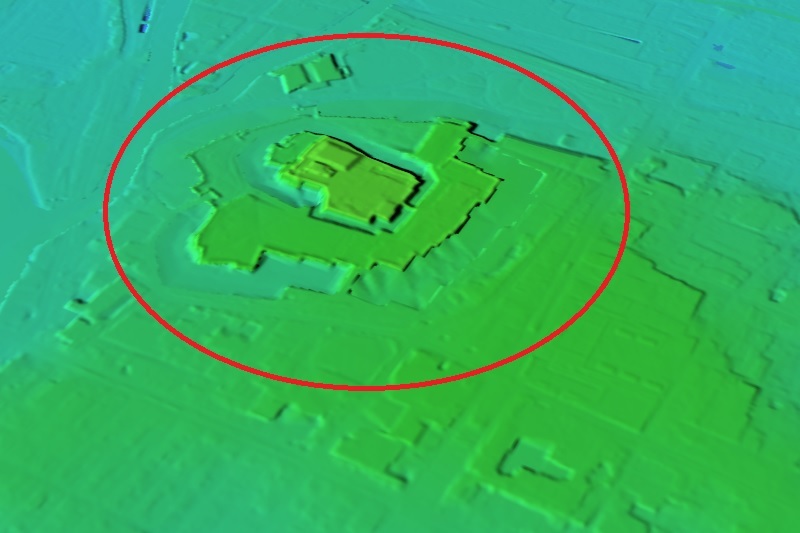 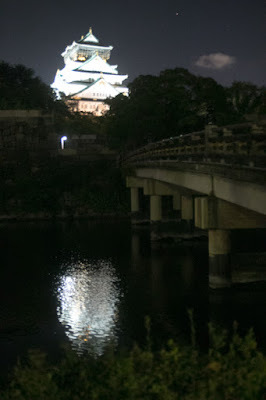 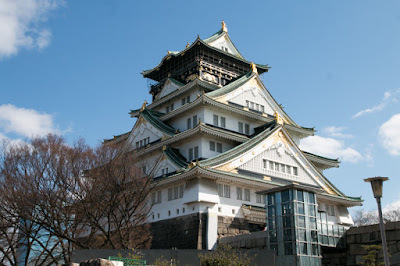 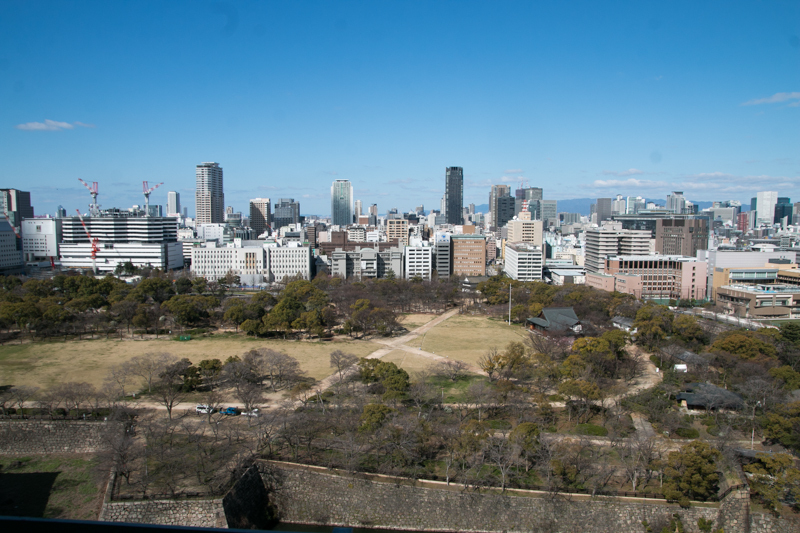 Under the condition Hideyori could stay at Osaka castle, but defense facility of outer area and secondary area was destroyed and Osaka castle mostly lost its function as a castle. 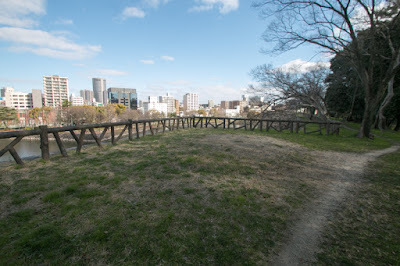 Tokugawa army once retreated to the country by the end of December. 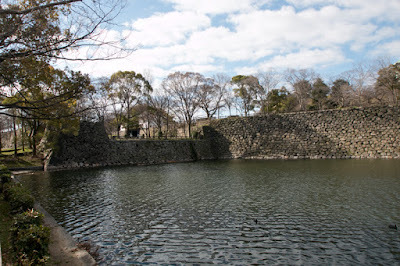 But Ieyasu did not let Hideyori alive. 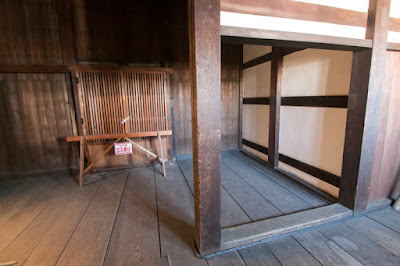 Hideyori also kept the soldiers, and the doubt arouse between both side again. 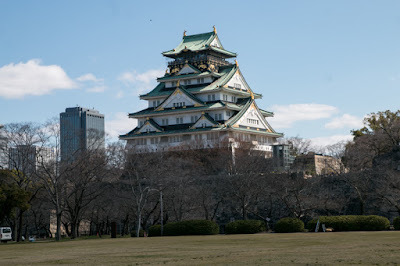 Finally in April 1615, Ieyasu ordered to the lords to siege Osaka castle again, and Summer Battle of Osaka (Osaka Natsu no Jin) castle had begun. This time the soldiers of Tokugawa side was about 160,000 and Toyotomi side was 80,000. This time Toyotomi side could not rely on Osaka castle and there is no other way to hold a desperate field battle against Tokugawa army. But due to the lack of commanding structure, each general attacked Tokugawa army individually and was destroyed one by one. 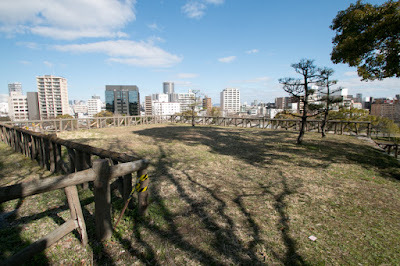 In May 6, Mototsugu Goto ambushed marching Tokugawa army at Domyoji area, but following army could not reach the battle field and had to fight only by his own army. 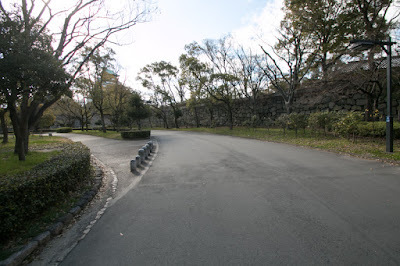 Mototsugu bravely fought and gave damage to Tokugawa army but finally was outnumbered and died in the battle. 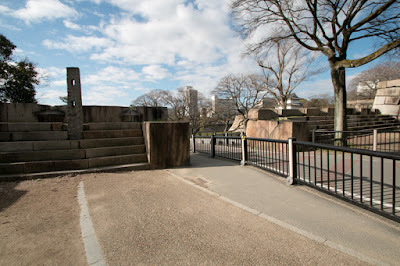 There was a risk of collapsing front, but Nobushige Sanada stemmed the enemy with small force and retreated. 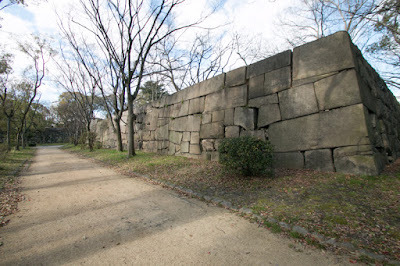 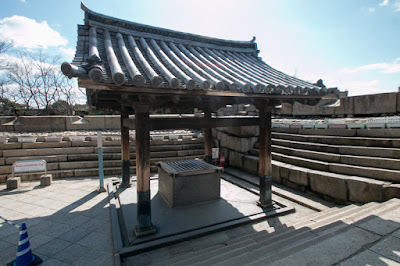 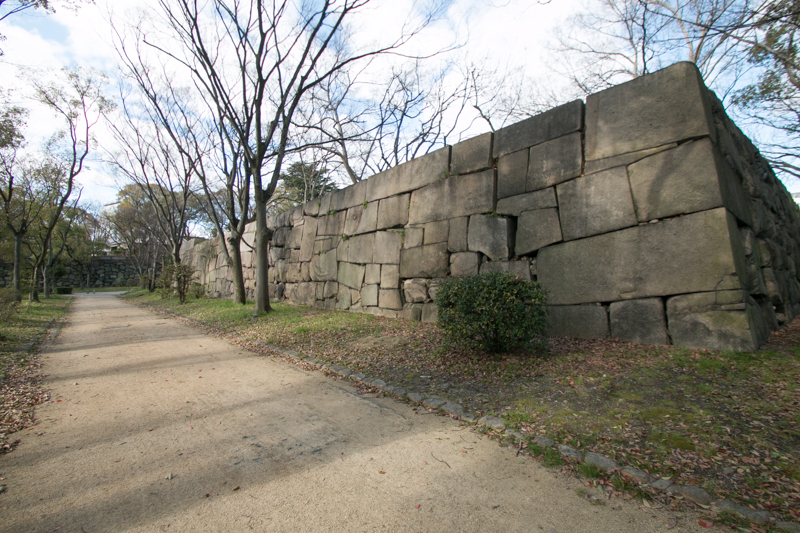 At the same day Motochika Chosokabe fought with Todo army at the east of Osaka castle and once overwhelmed, but finally caused a severe damage and also retreated. In May 7, Tokugawa army arrived at the front side of Osaka castle. The headquarter of Ieyasu was placed at Tennoji area, southwest of Osaka castle, and one of Hidetada Tokugawa (1579-1632), the son of Ieyasu and second Shogun, was made at Okayama area, the south east of the castle. 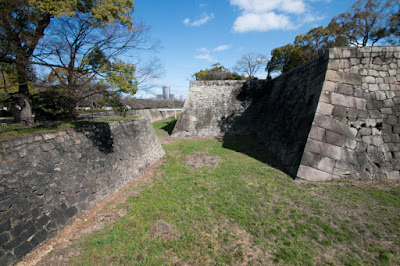 Cornered Toyotomi army fiercely attacked Tokugawa army, and at Tennoji side Nobushige Sanada and Katsunaga Mori cooperatively raided the vanguard of Tokugawa army. The vanguard of Tokugawa army was destructed and Tadatomo Honda (1582-1615), the son of Tadakatsu Honda (1548-1610) died in the battle. Among the confusion of Tokugawa army, Nobushige charged to the headquarter of Ieyasu with his red colored armored cavalry, and assaulted it three times. Royal guard of Ieyasu ran away from this attack and Ieyasu himself also had to escape from the battlefield. But Tokugawa army gradually recovered its situation, and outnumbered Nobushige was finally killed by Tokugawa army. 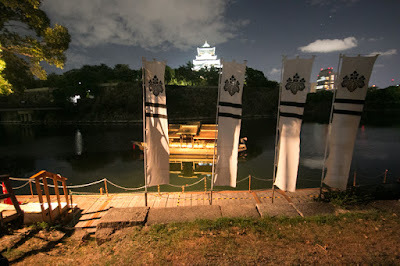 According to the record of Shimazu clan, Nobushige is praised as "Sanada is the bravest army in Japan, no such one is recorded in the old stories". 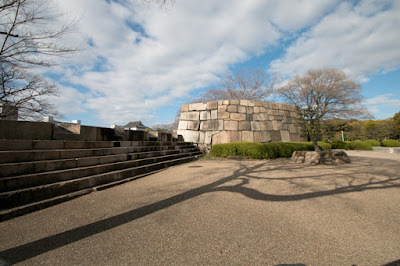 Toyotomi army also well fought at Okayama side, and also assaulted the headquarter of Hidetada. 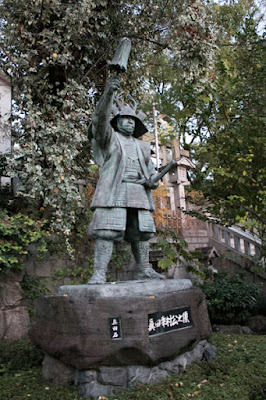 It is said that Munenori Yagyu (1571-1646t), a sword master of Yagyu school who served to Hidetada, actually wielded the sword and protected Hidetada. 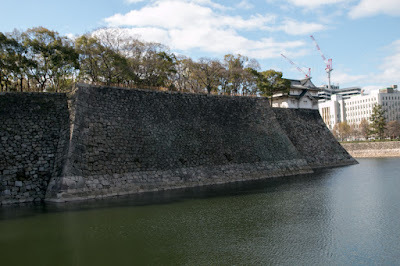 But finally Tokugawa army overwhelmed Toyotomi army and Toyotomi army retreated to Osaka castle. 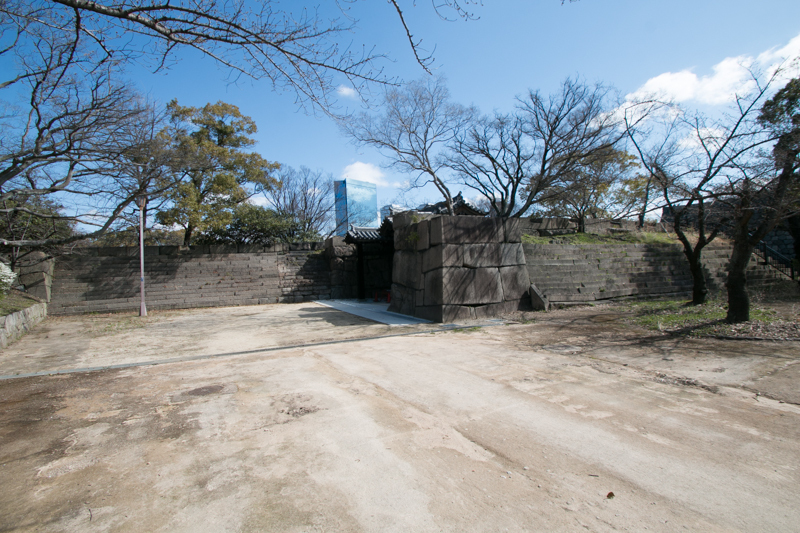 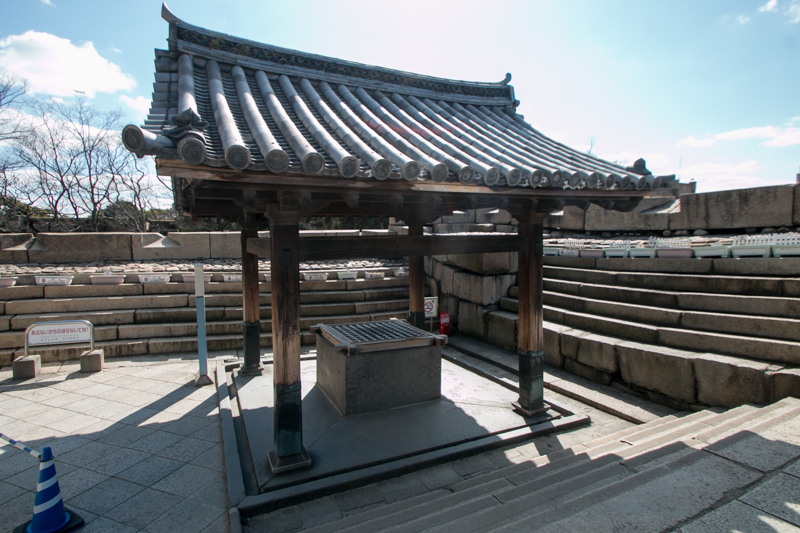 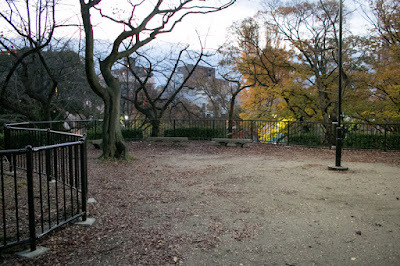 But Osaka castle could not stand any more, and members of Toyotomi army including Hideyori, Princess Yodogimi and other general killed themselves in the burning turret at Yamazato area, the northwest edge of Osaka castle. 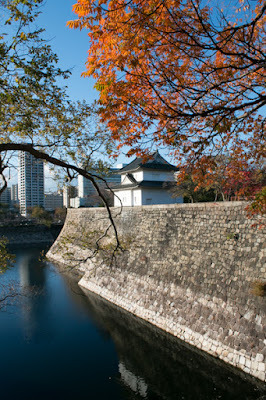 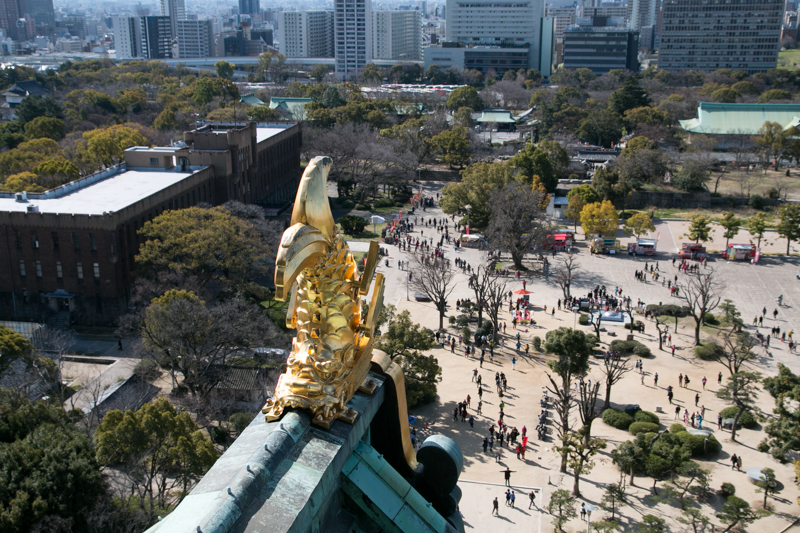 Osaka castle and Toyotomi clan closed the history of 30 years. 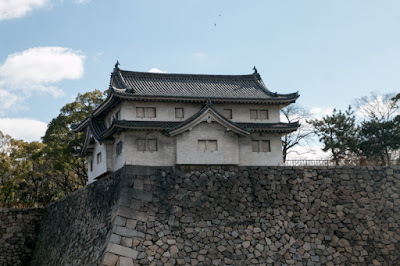 After the fall of Toyotomi clan, Hidetada Tokugawa totally destroyed original castle and totally reformed from 1620, as a basis for governing western Japan. The shape of the castle was generally kept, but stone wall became taller and the moats were wider, and the constriction of the terrain was covered and the shape of the central area became more linear. 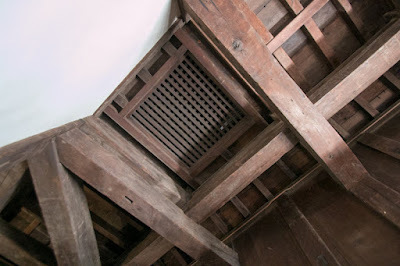 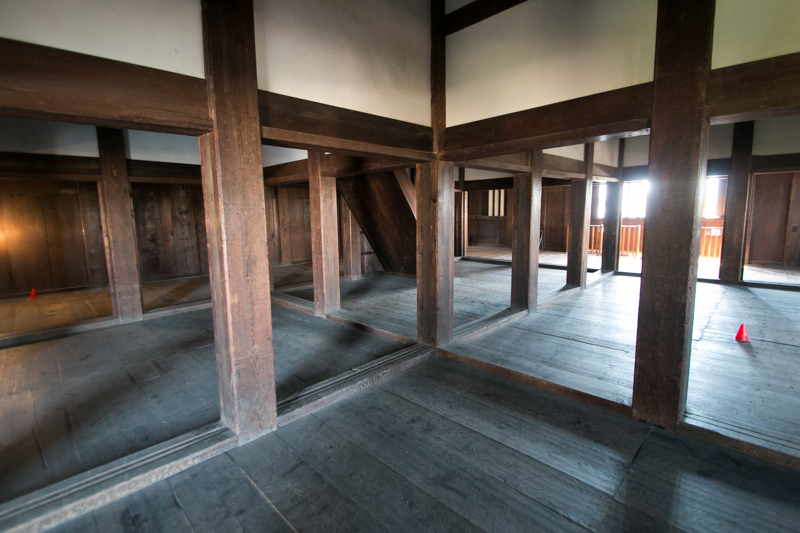 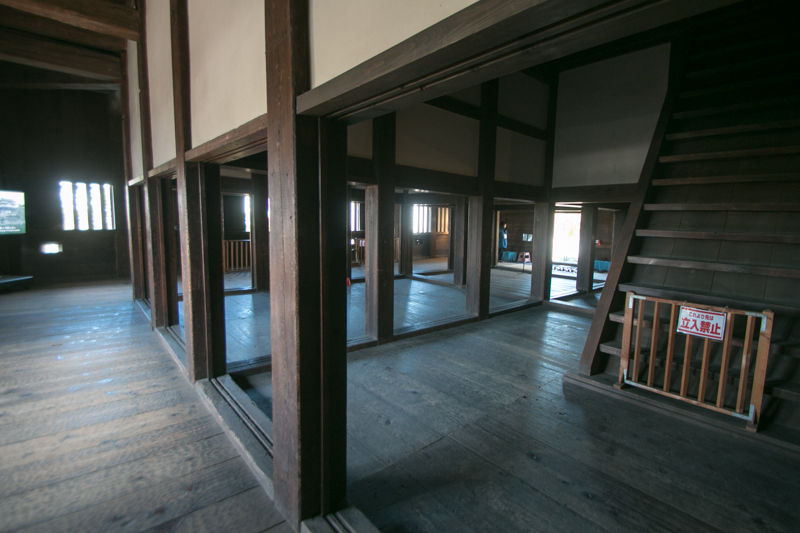 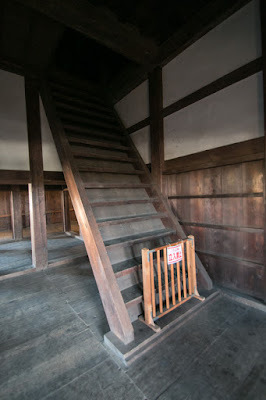 A five story six floor main tower with attached tower was newly built in 1625, and the height of this main tower was 58 meter including the basement and the tallest on of Japanese castles along with the one of Edo castle. 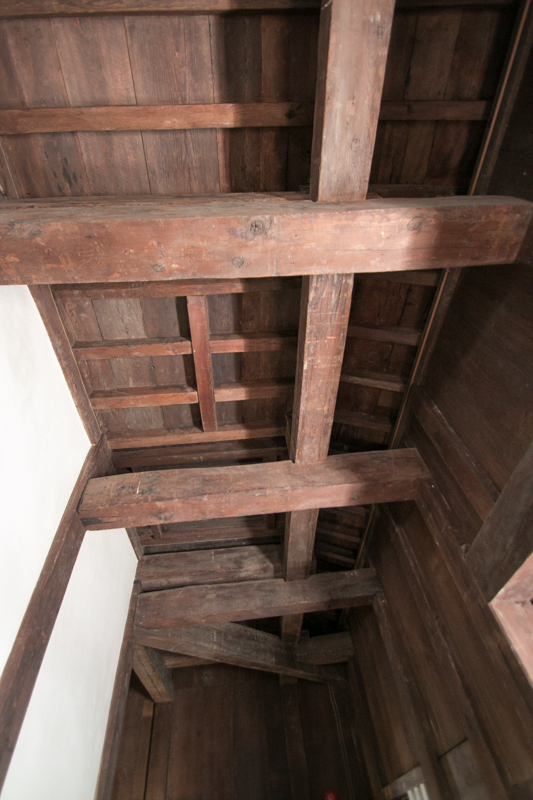 But this tower was lost by lightning in 1665 and was not reconstructed any more. Throughout Edo era, Osaka castle had been directly managed by Edo Shogunate, and its hereditary retainers were appointed as a commander. 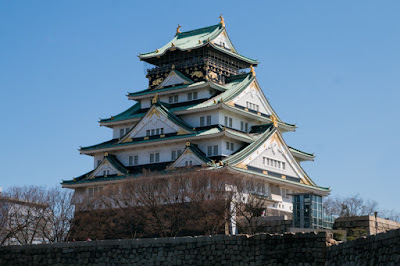 During the Meiji revolution war, in 1867, Shogun Yoshinobu Tokugawa (1837-1913)?who was the last Shogun and lost the battle of Toba Fushimi in Kyoto prefecture, did not enter Osaka castle but left to Edo. 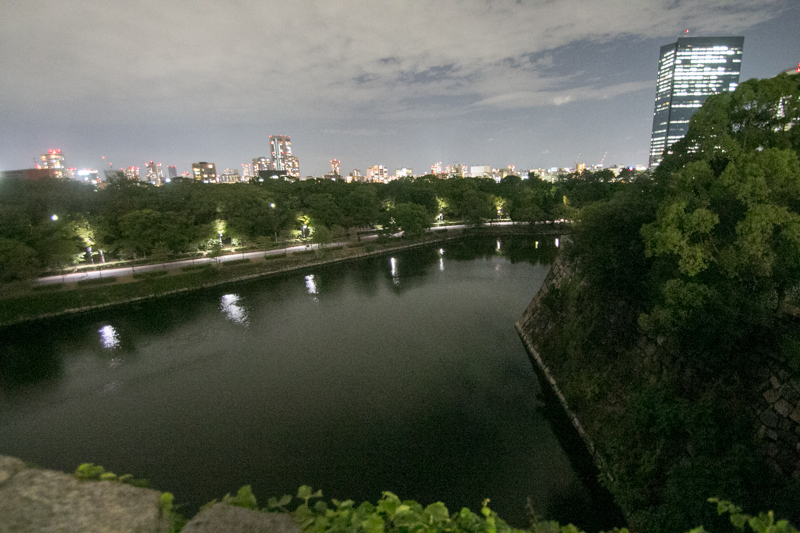 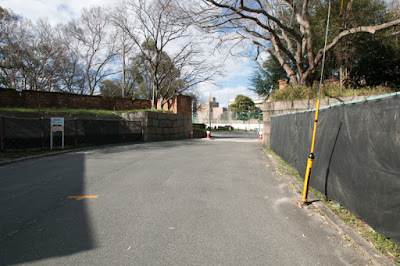 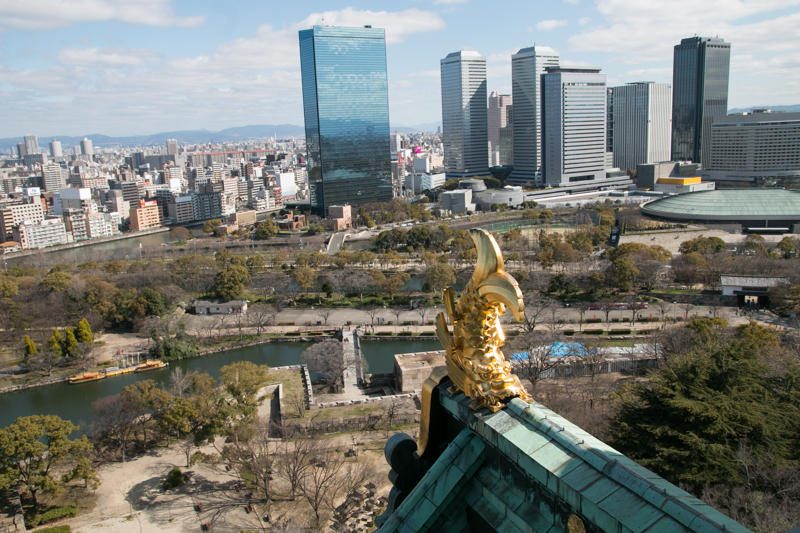 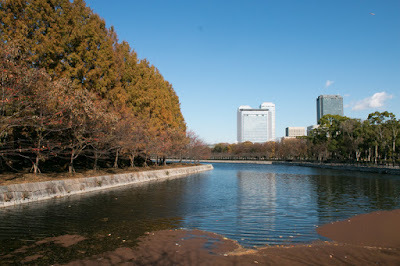 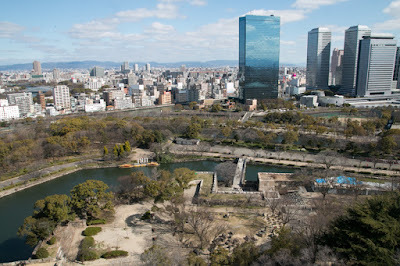 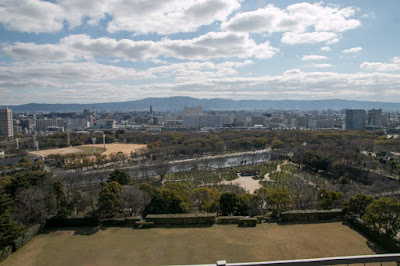 ?Osaka castle opened to the new government, but among the confusion of the scene, most buildings were burned out. 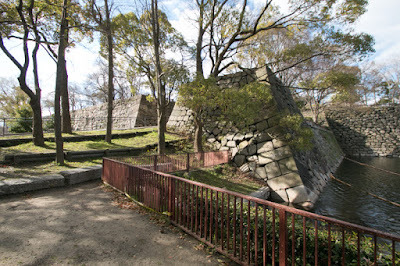 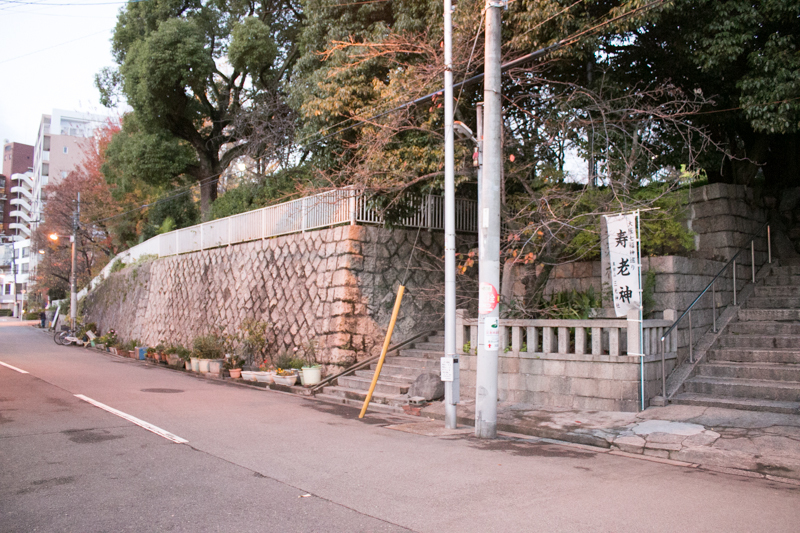 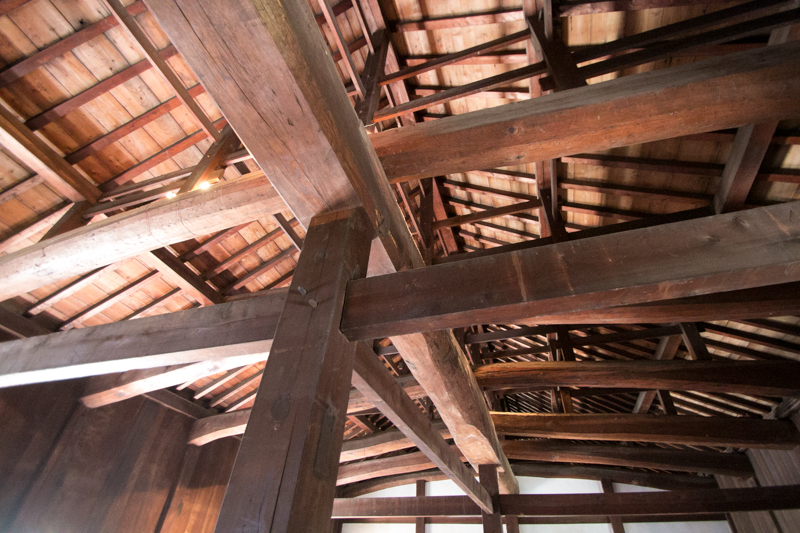 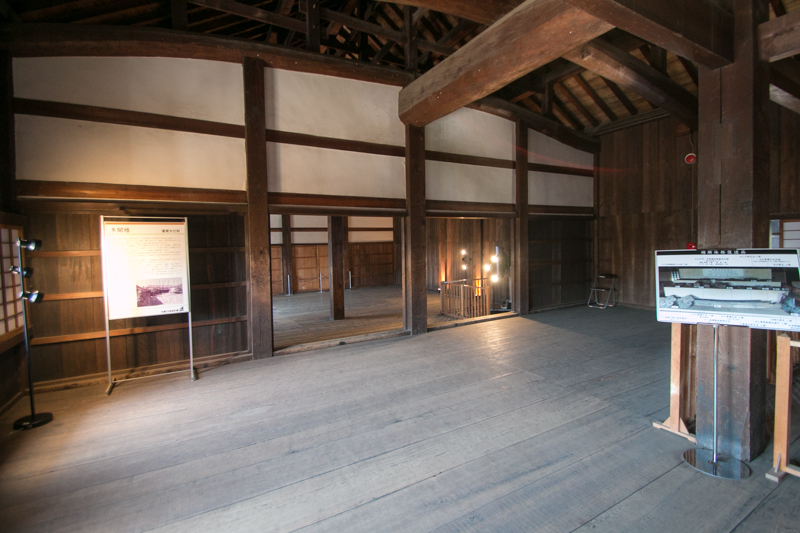 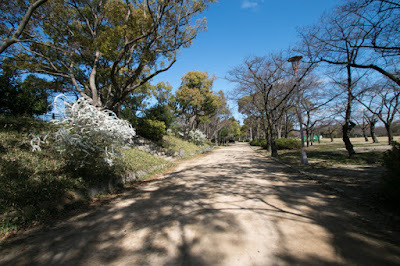 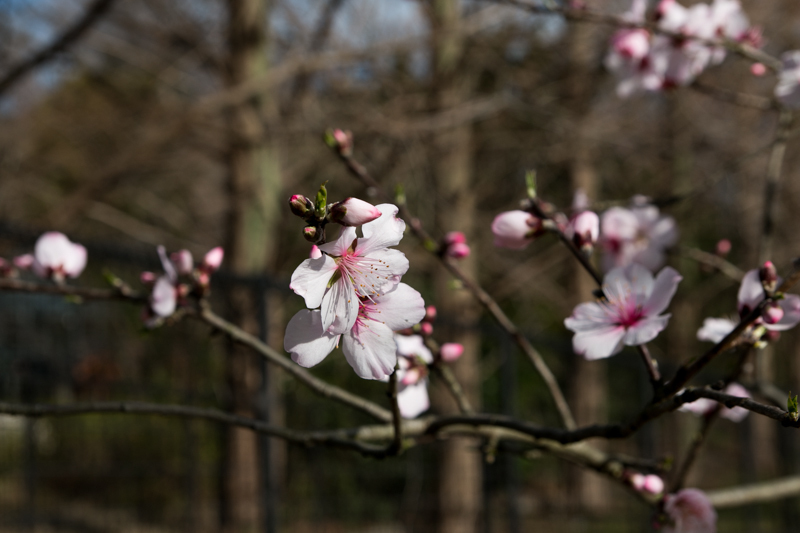 In Meiji era, the site of castle was used as an base of Japanese army. 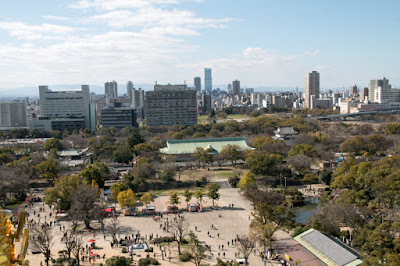 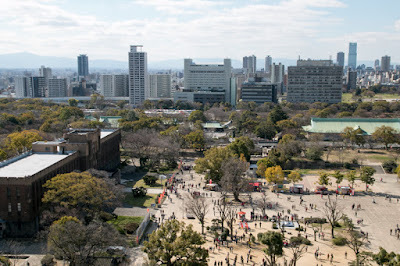 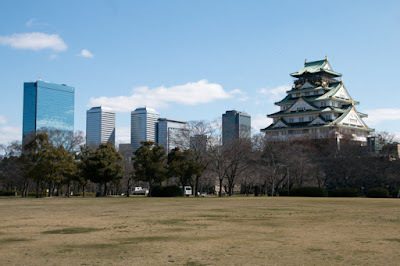 In 1928, the central area of Osaka castle became a park, and current main tower imitating Toyotomi time tower was reconstructed as a symbol of Osaka city in 1931. The castle additionally lost several buildings in WW2, but there still remain several corner turrets and gates, along with beautiful stone walls and moats. 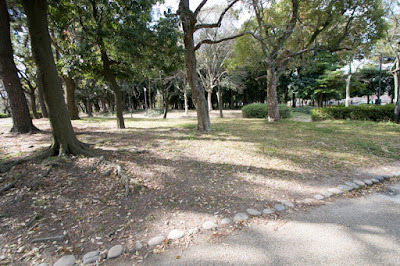 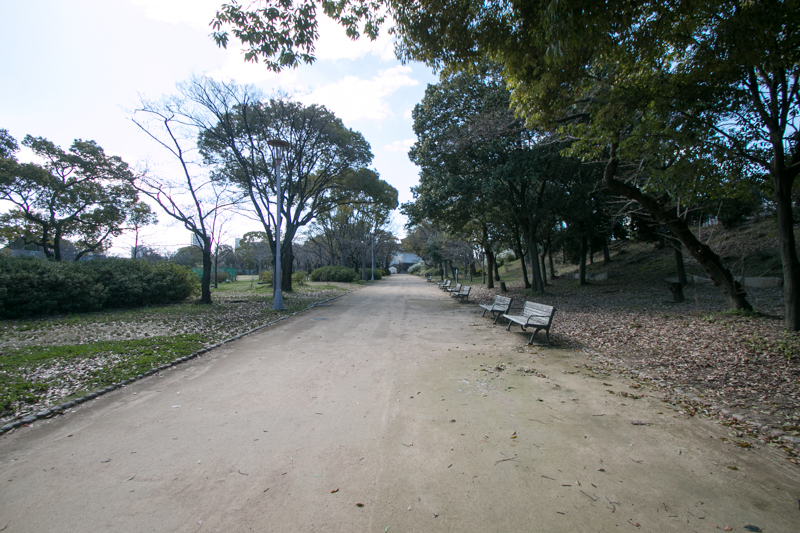 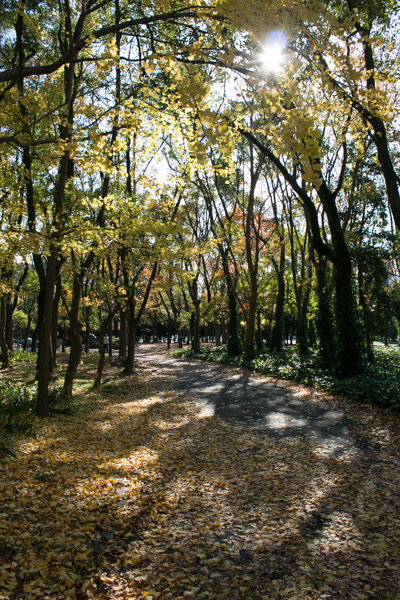 15 minutes walk from JR West Osaka-Kanjo line Osakajokoen station, 15 minutes walk from Osaka City Subway Tenmabashi Station etc. 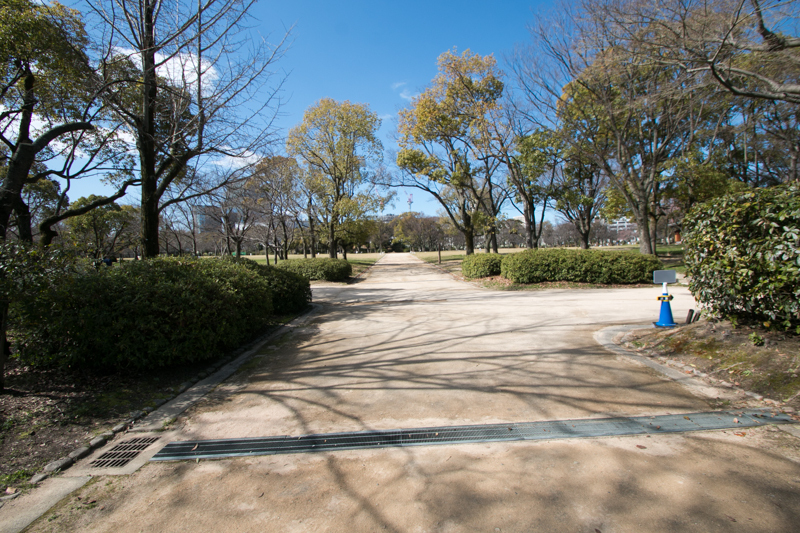 10 minutes drive from Hanshin-Kosoku Expressway Morinomiya interchange.